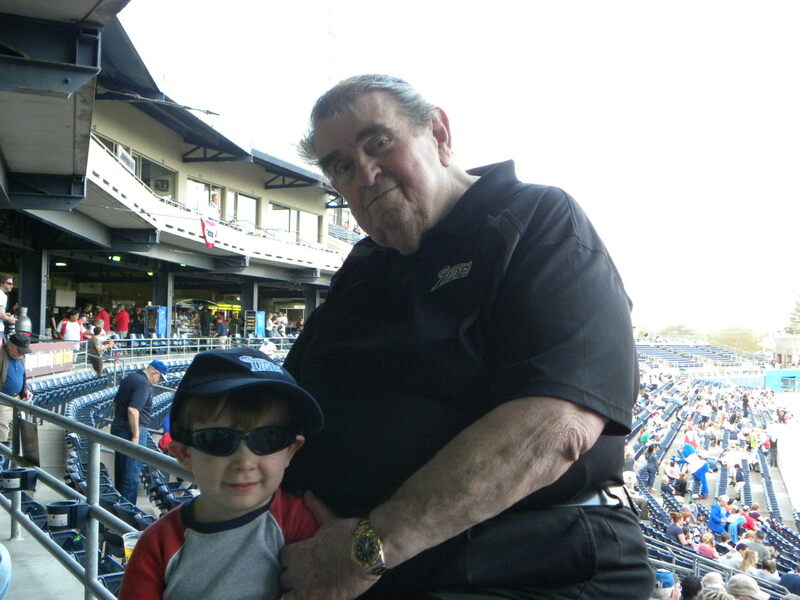 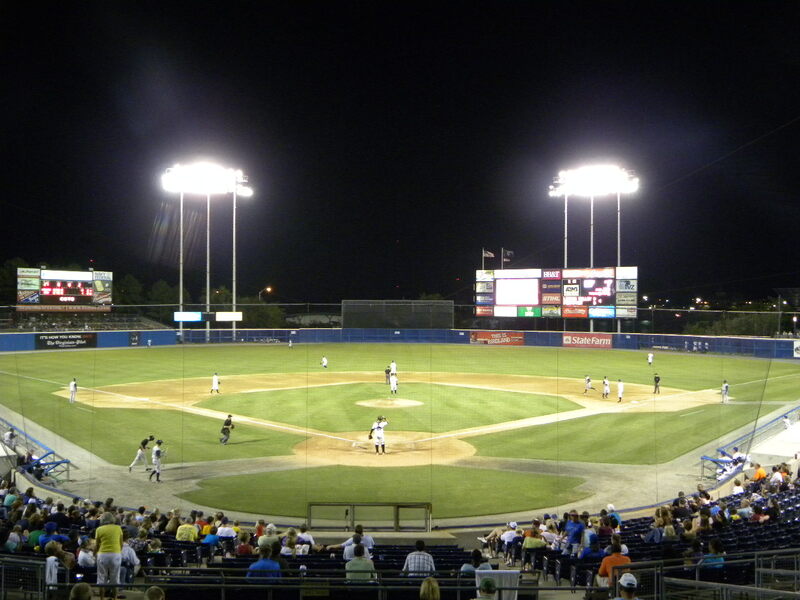 The Norfolk Tides travelled to Charlotte from Durham to play the Knights on Thursday and it would be a game that surprised those in attendance. 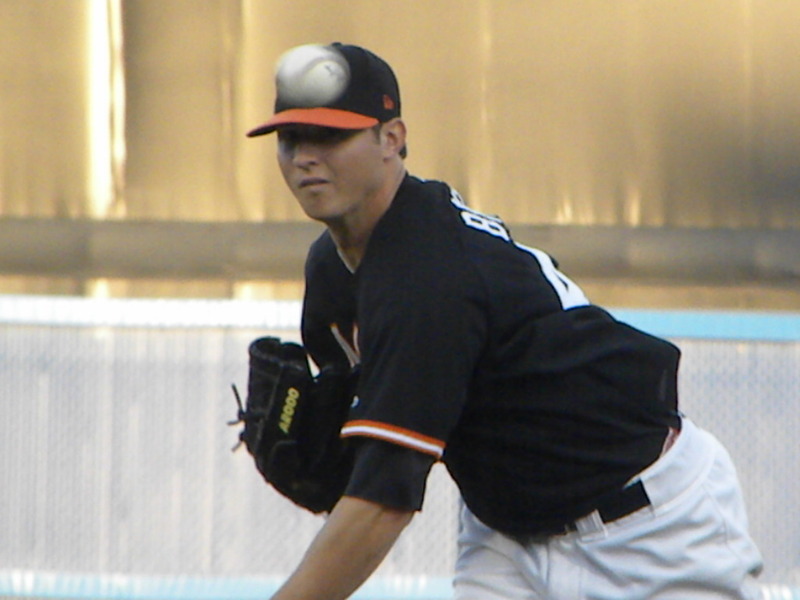 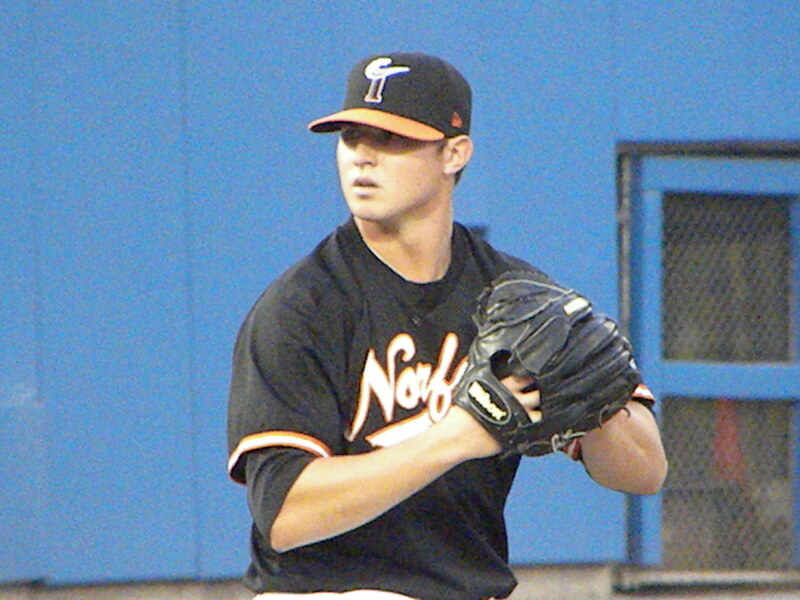 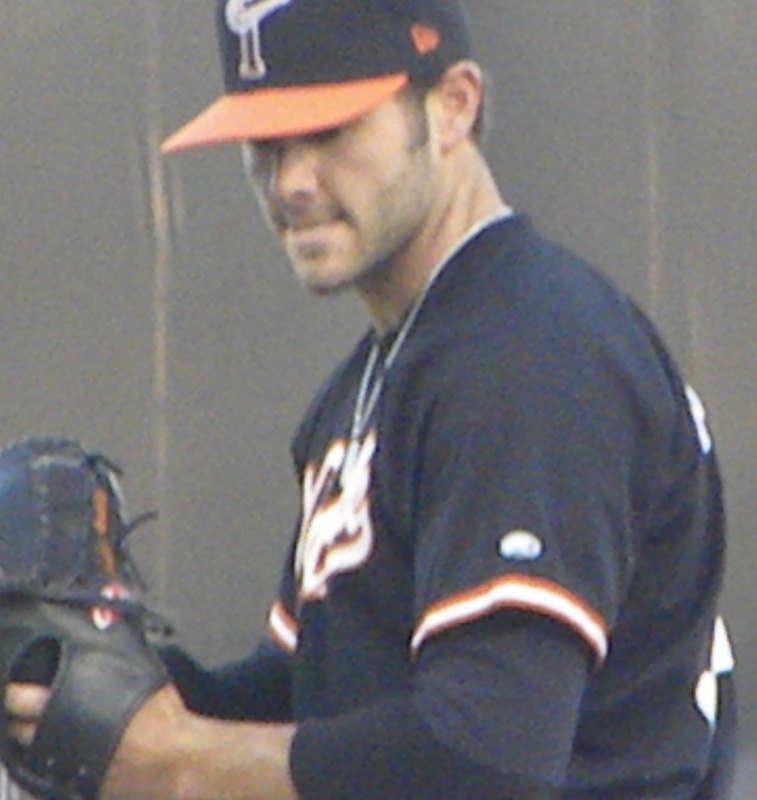 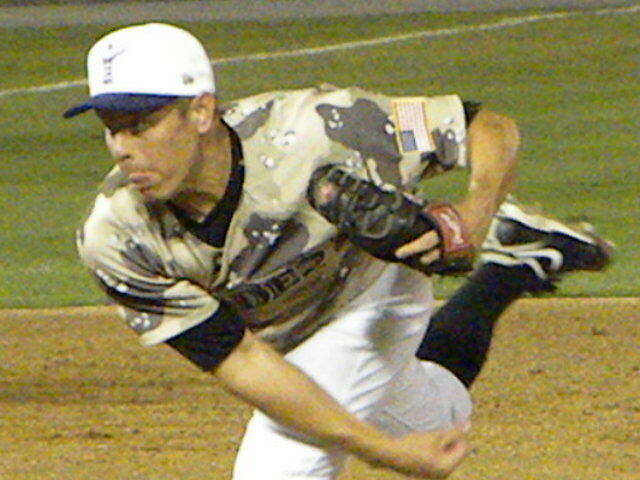 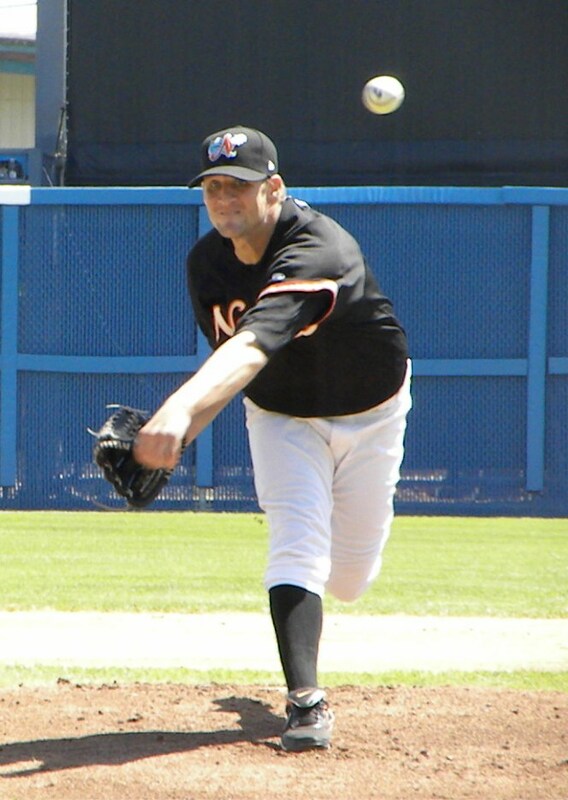 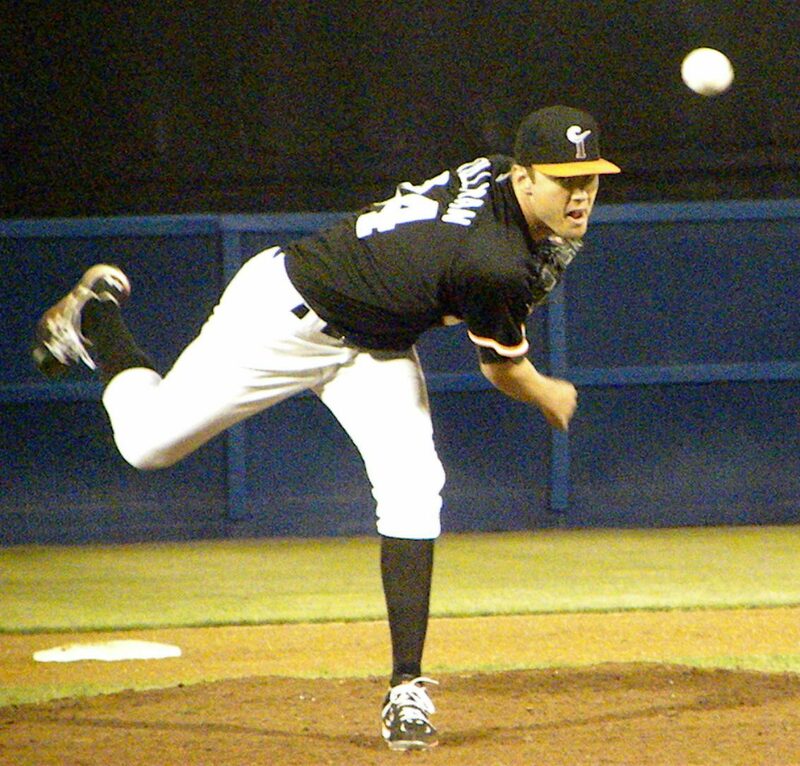 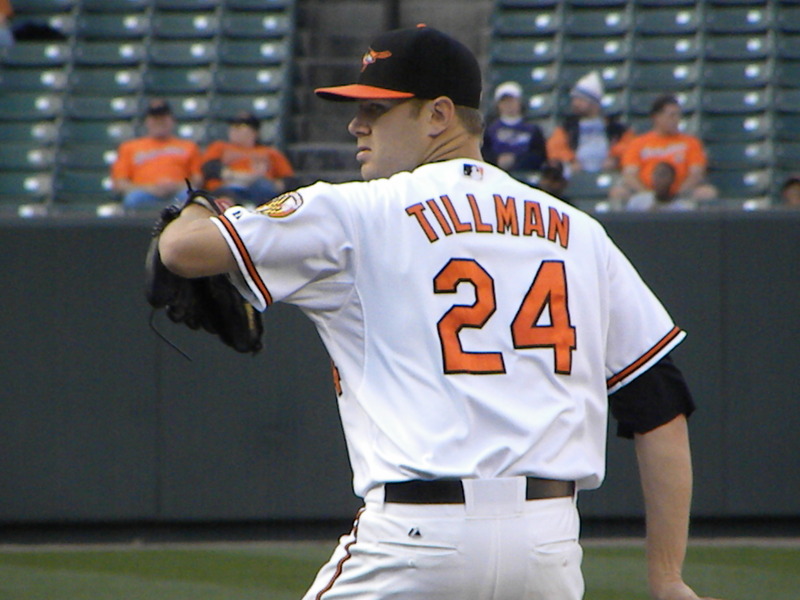 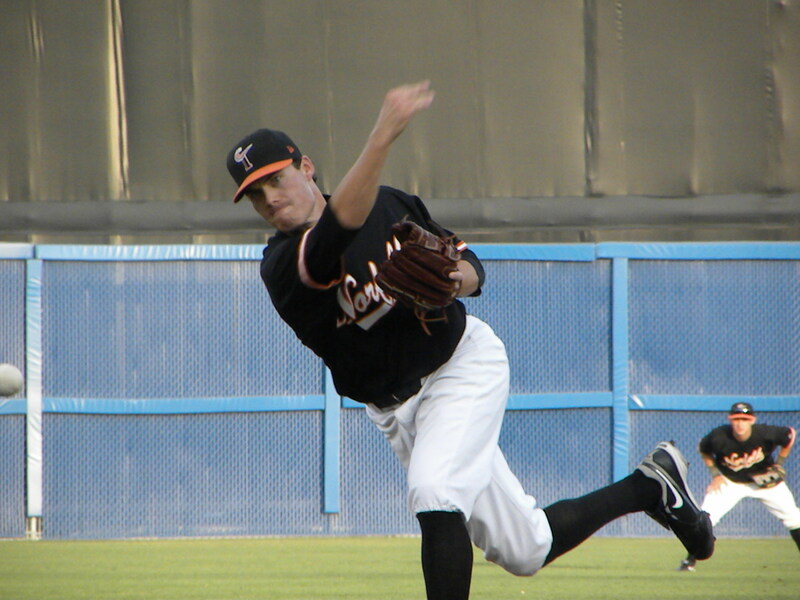 The Tides started their ace Chris Tillman who will be certainly is a September call-up by the Orioles having pitched very well this year including a no-hitter and a one-hitter. 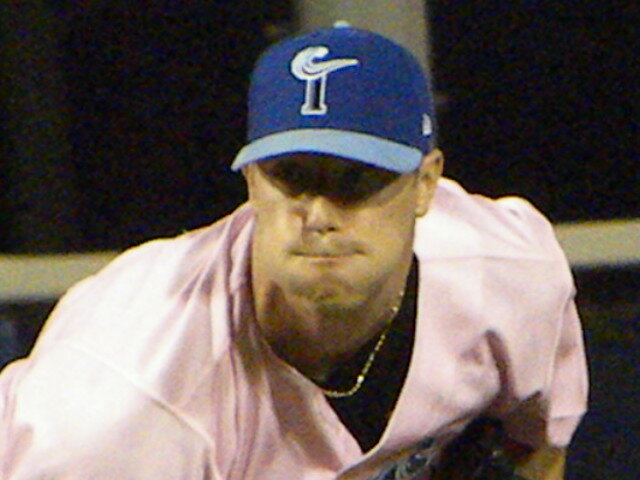 However Chris was roughed up by the Knights lasting only 2.2 innings facing 16 batters giving up 6 runs 4 of which were earned runs on 8 hits including a home run and 2 doubles. 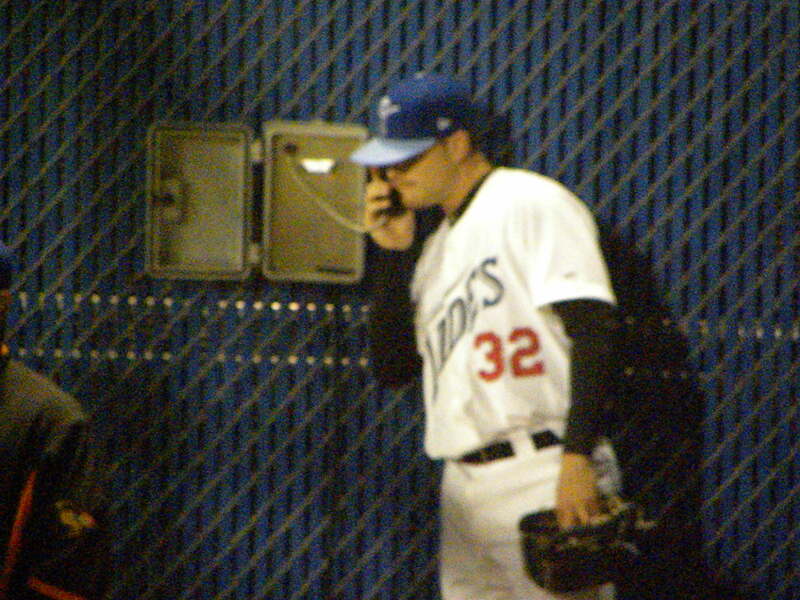 Chris was replaced by Jim Hoey who was followed by Frank Mata who would get the win and Dennis Sarfate who would notch the save. 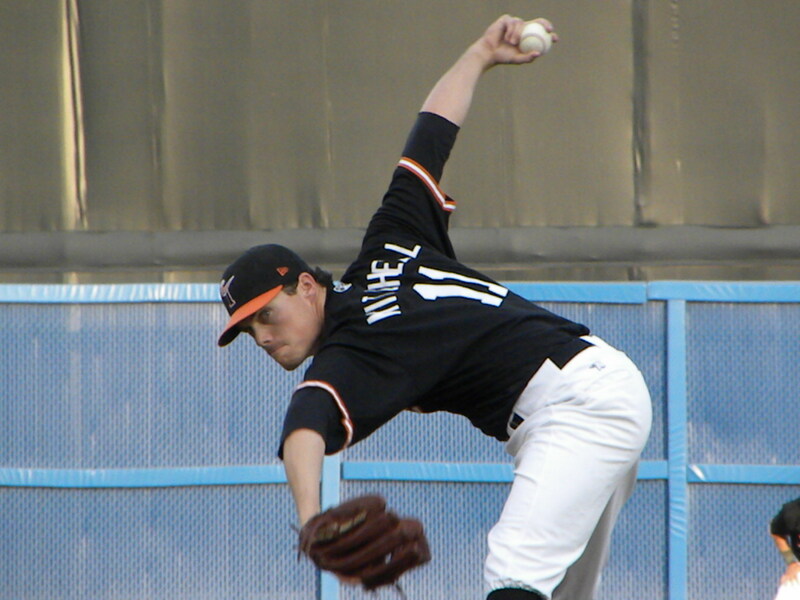 The trio of relievers pitched 6.1 innings giving up no runs on just 4 hits issuing 2 walks and striking out 9 Knights to keep the Tides in the game. 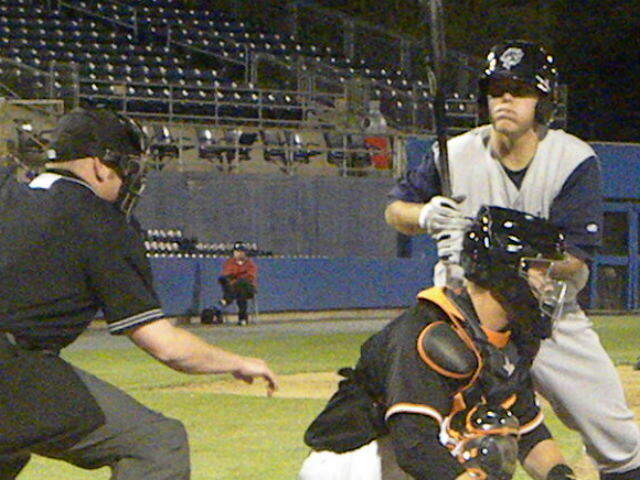 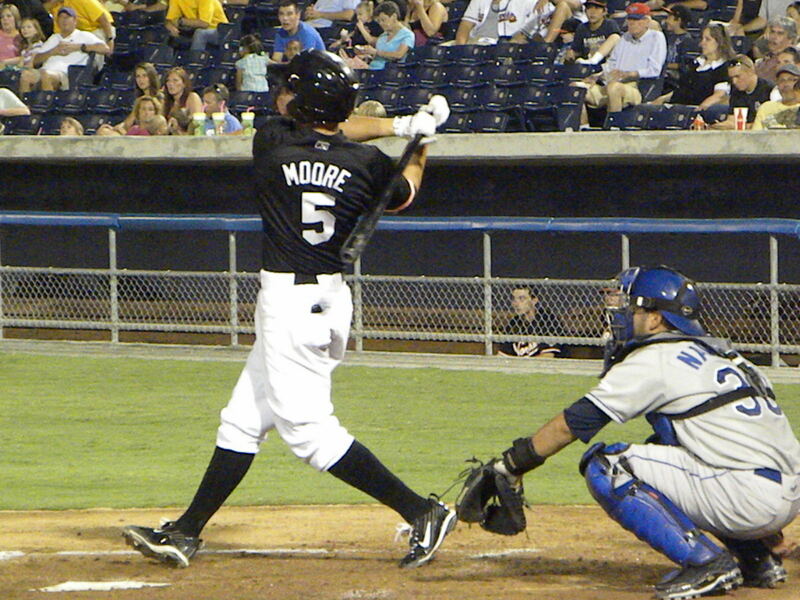 The Tides got on the board in the 5th inning when Blake Davis singled and Adam Donachie walked. 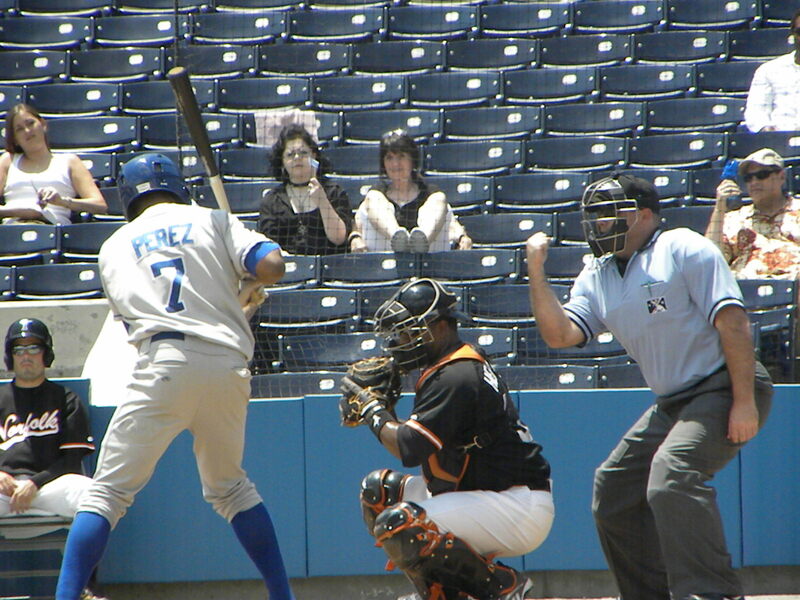 They advanced to 3rd and 2nd when Paco Figueroa grounded out. 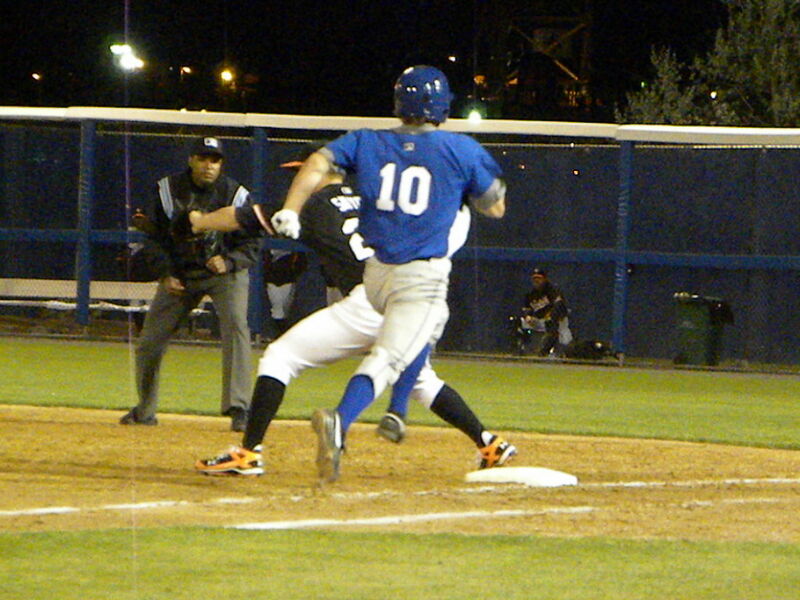 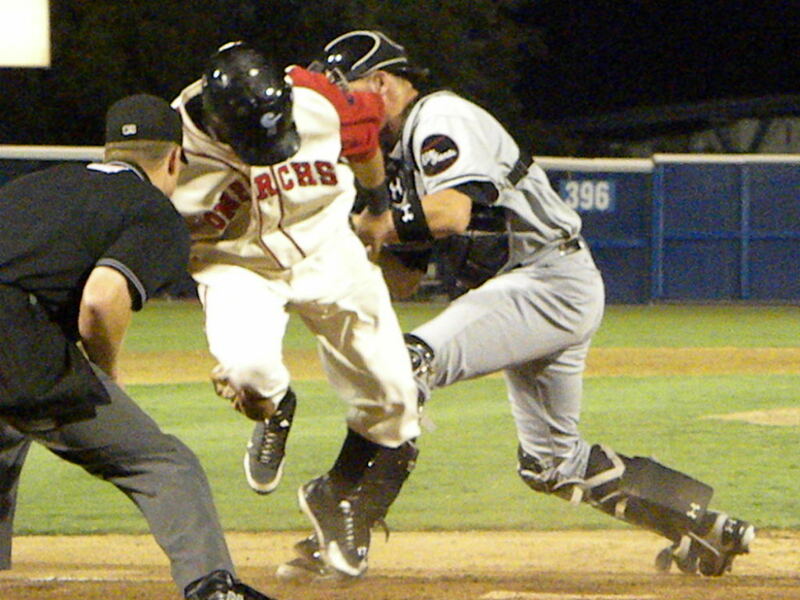 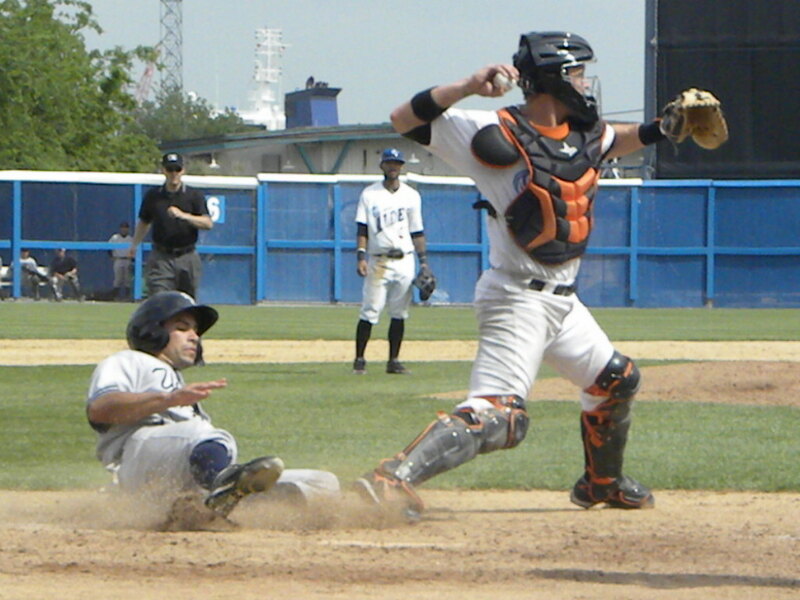 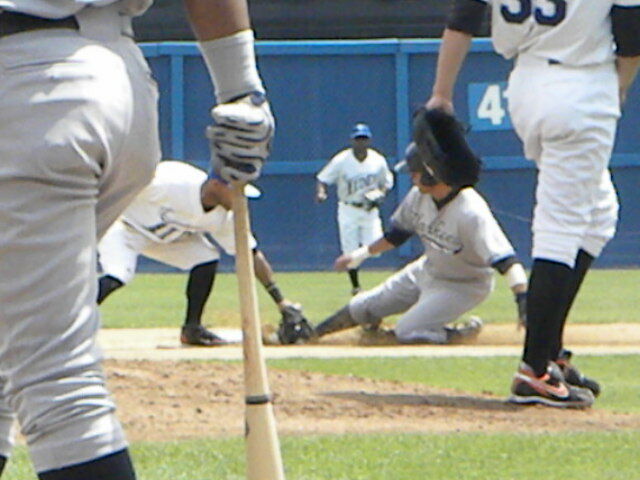 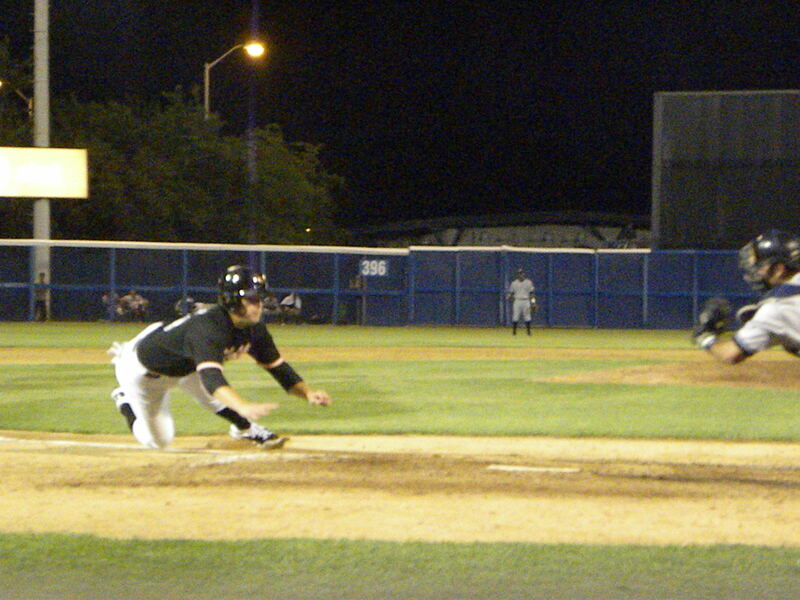 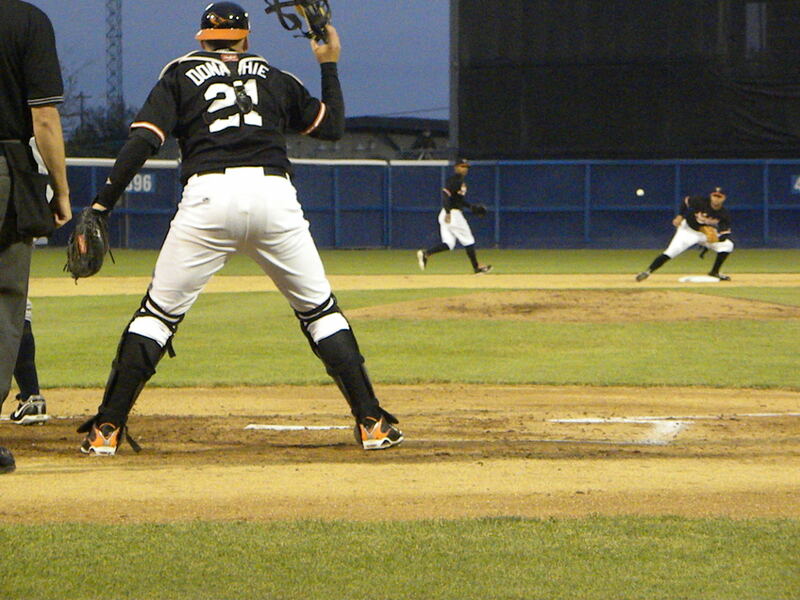 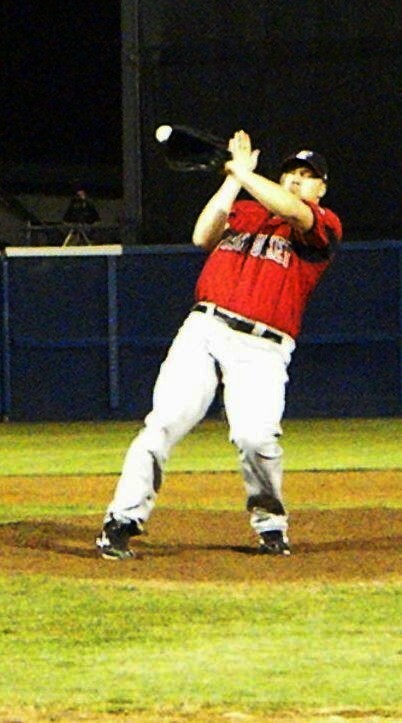 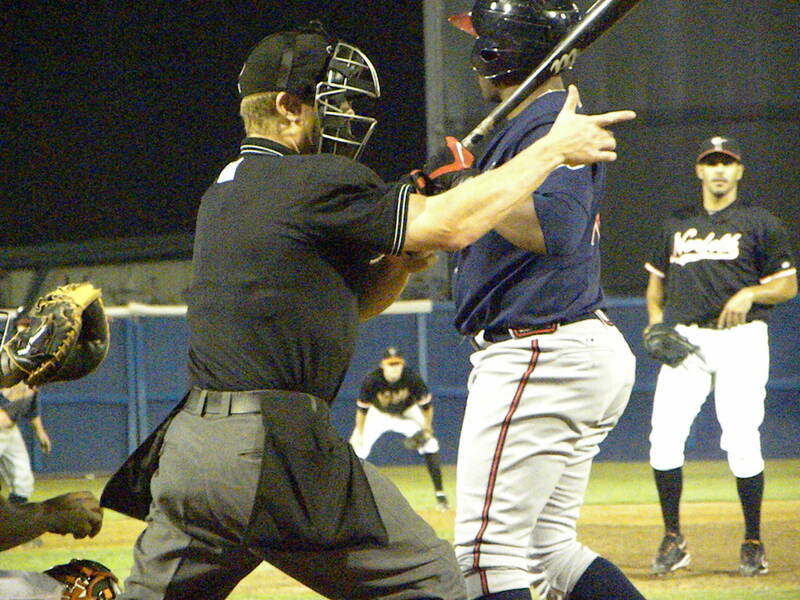 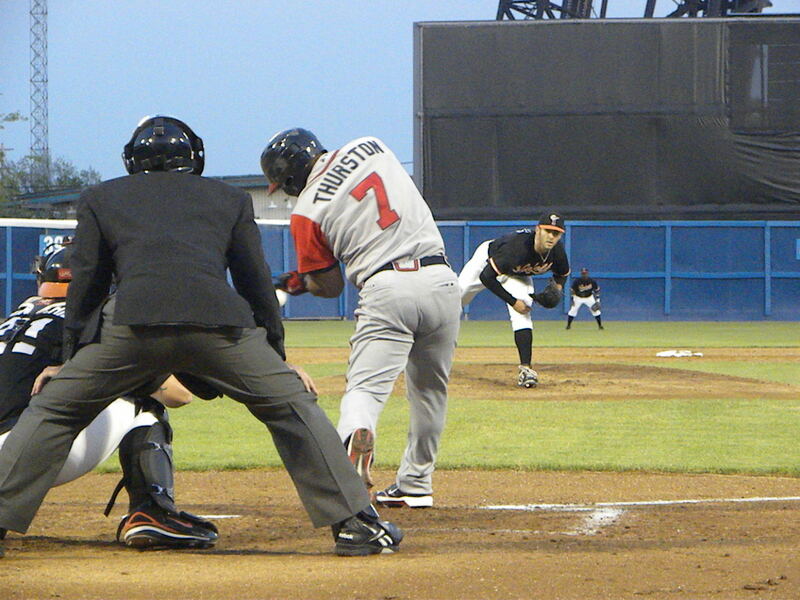 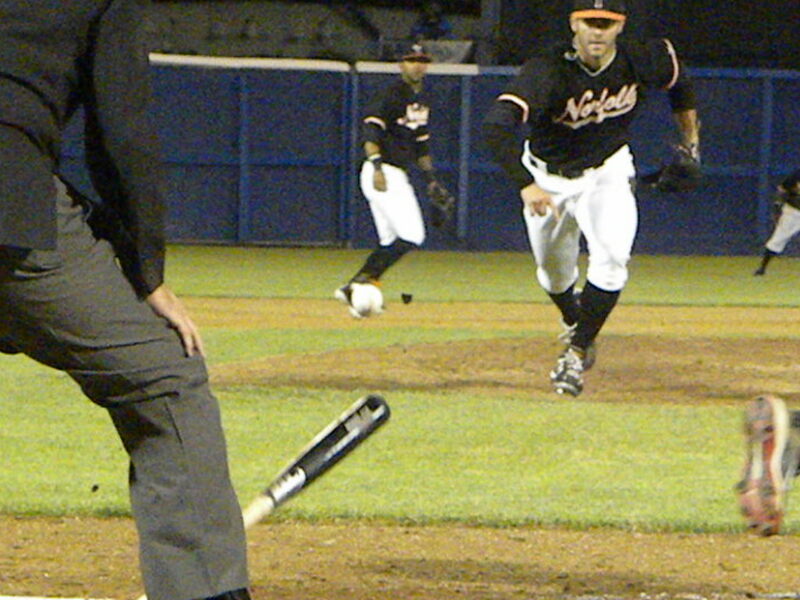 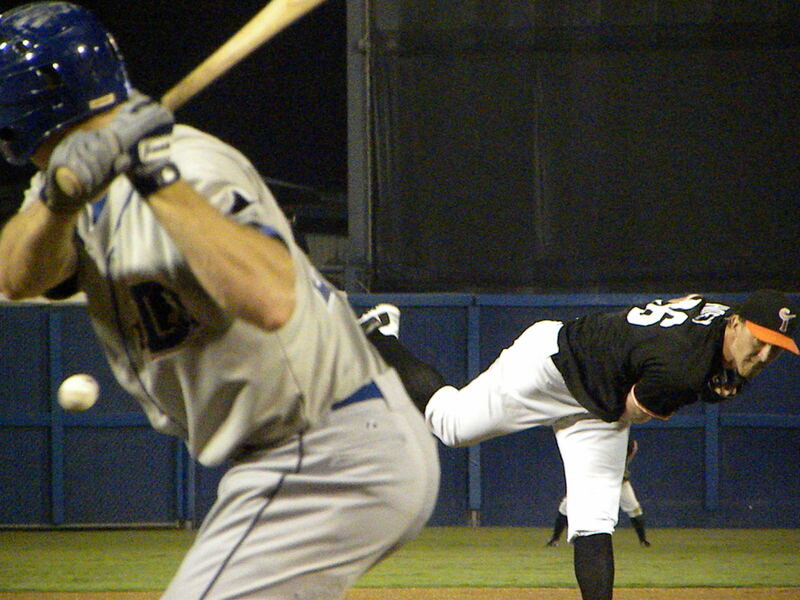 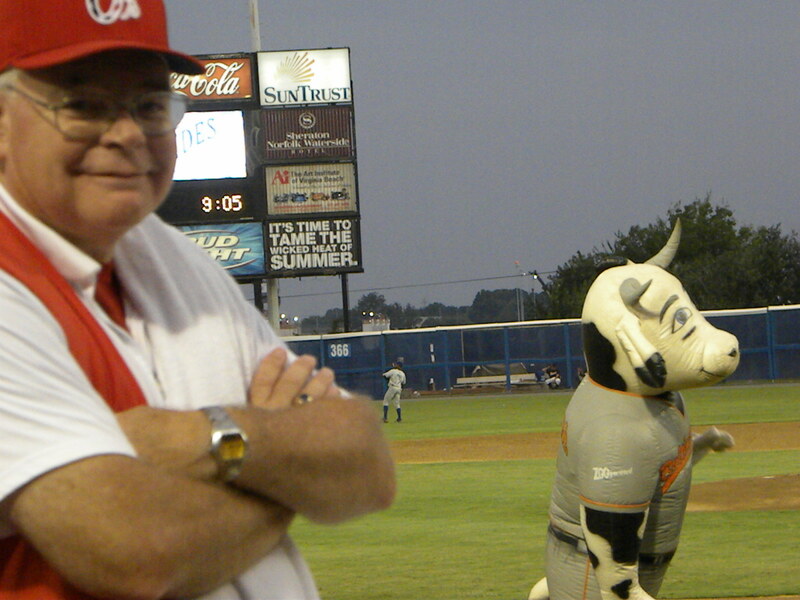 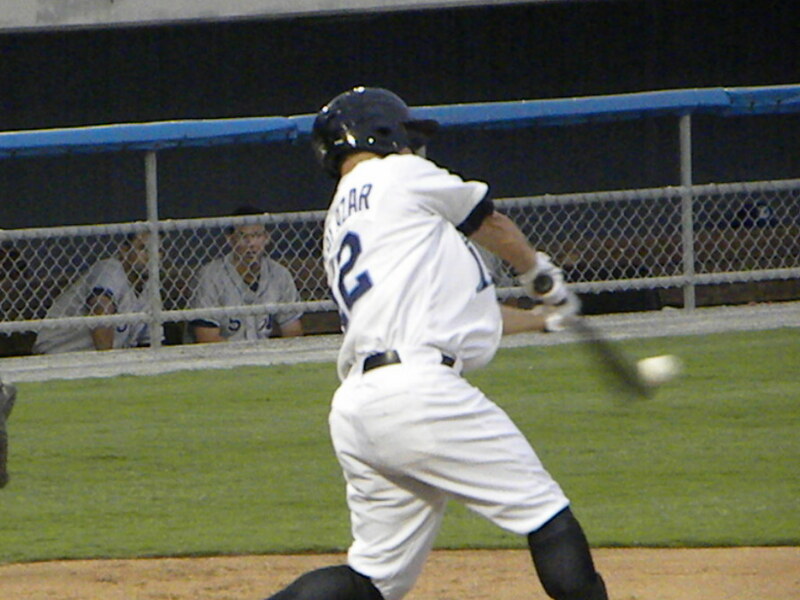 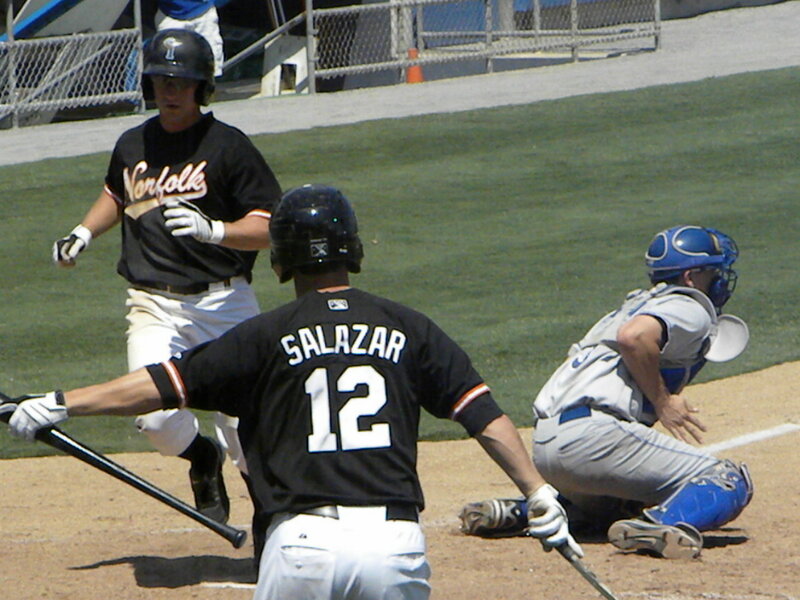 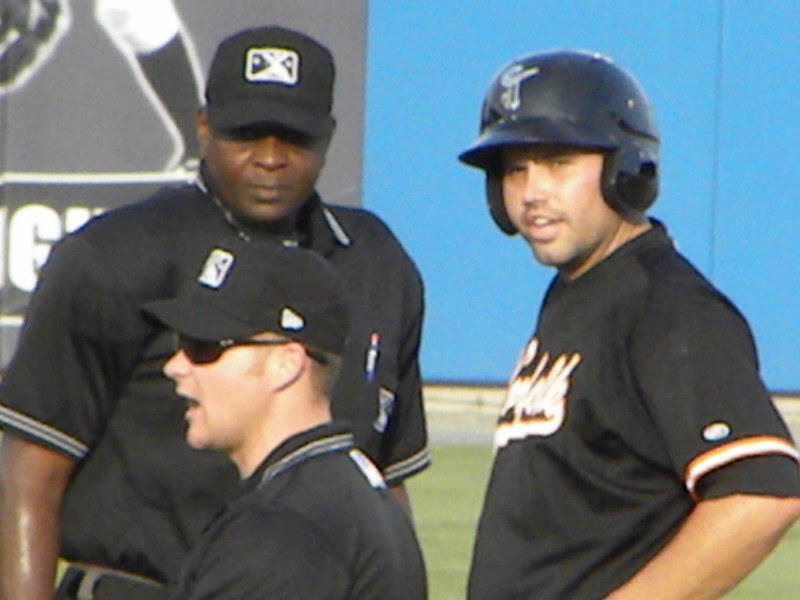 Matt Angle reached and took second on a throwing error by Knight’s second baseman Fernando Cortez. 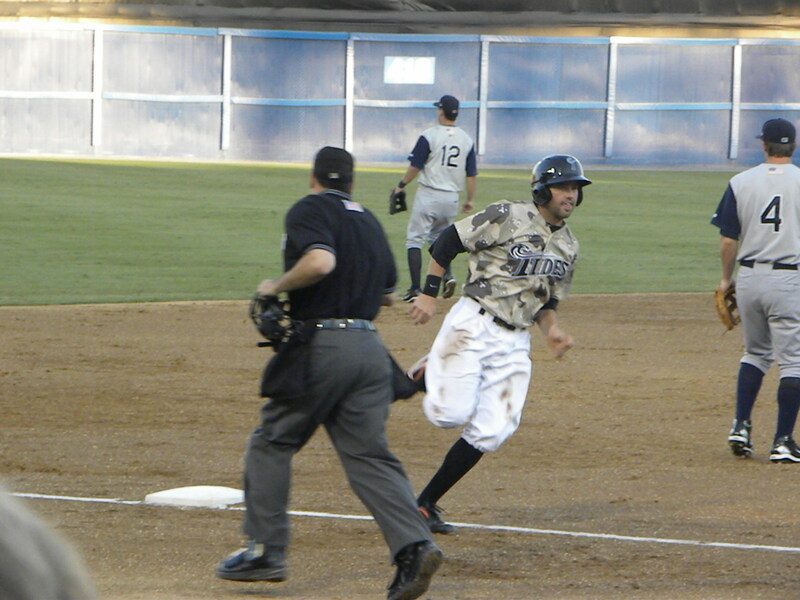 Davis scored and Donachie went to 3rd. 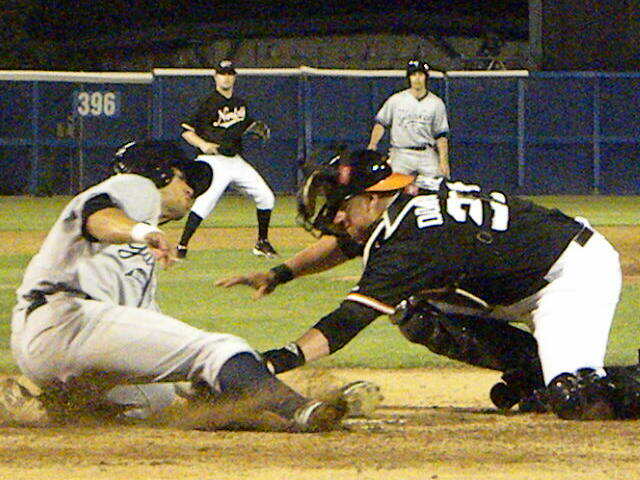 Robert Andino grounded out to score Donachie and the Tides were back in the game. 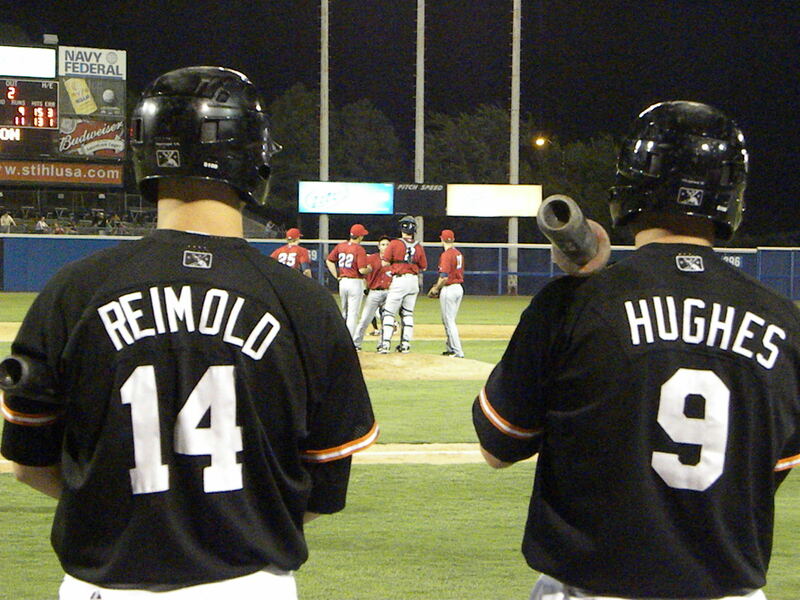 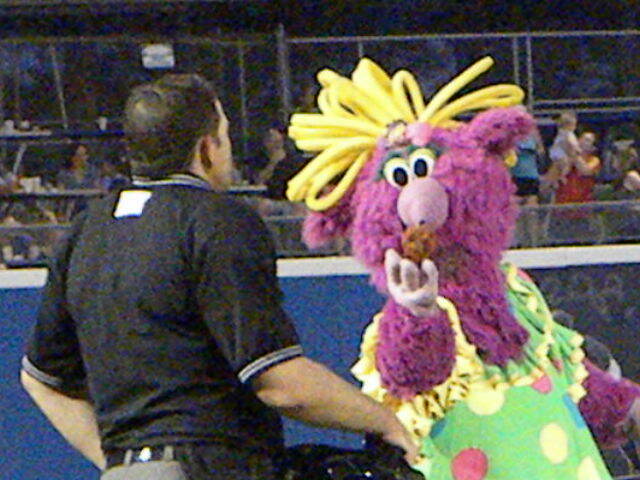 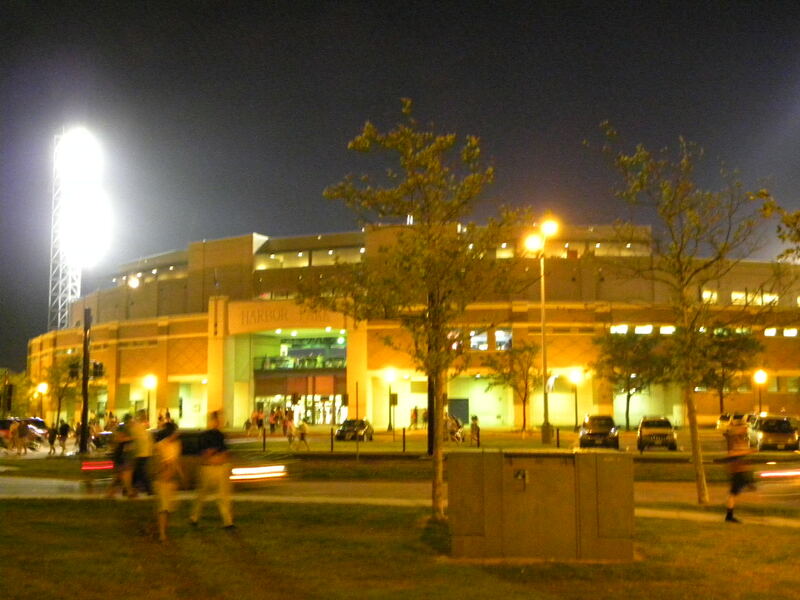 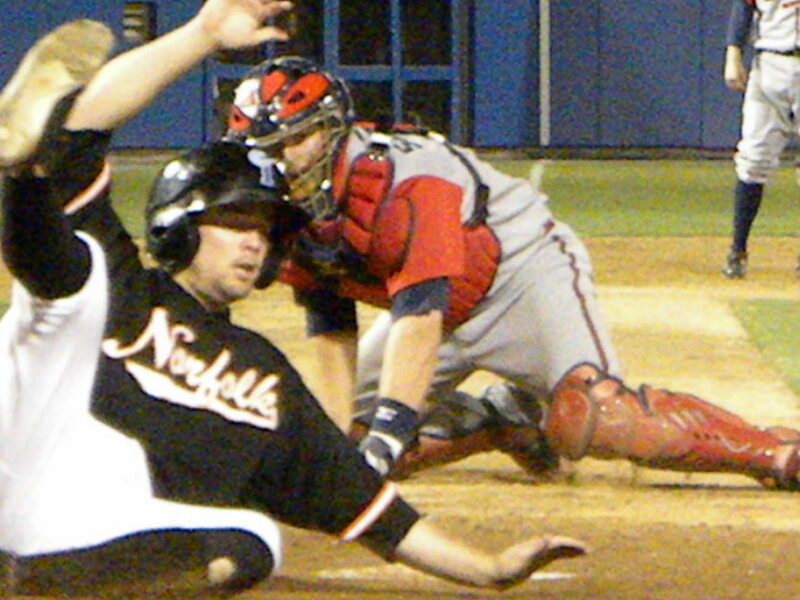 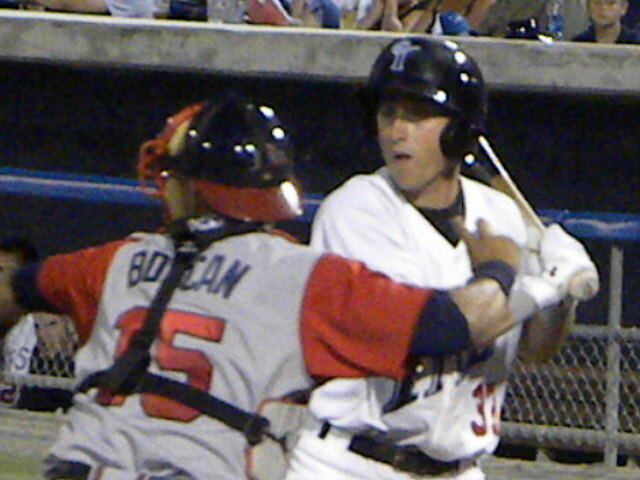 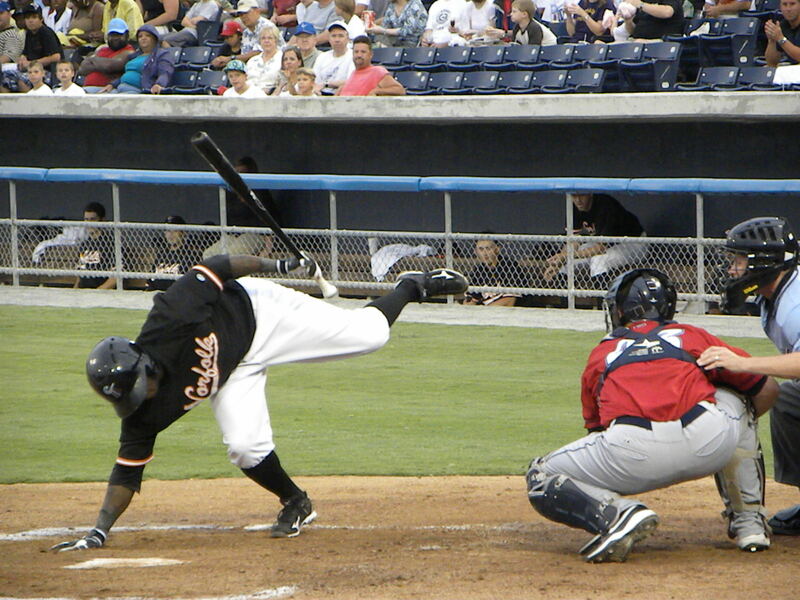 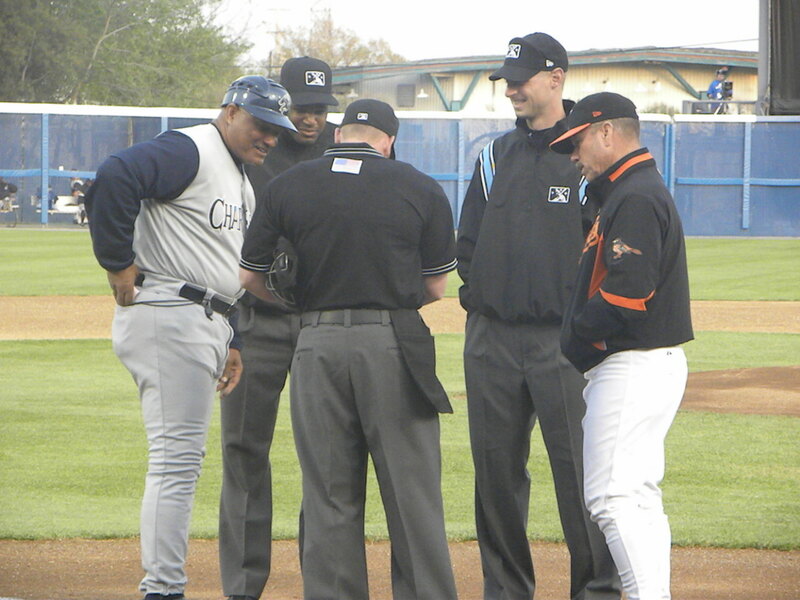 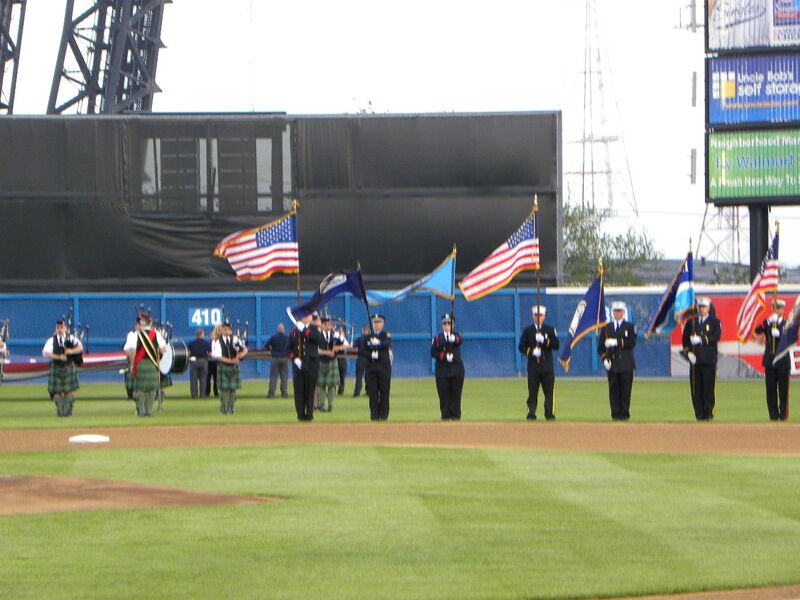 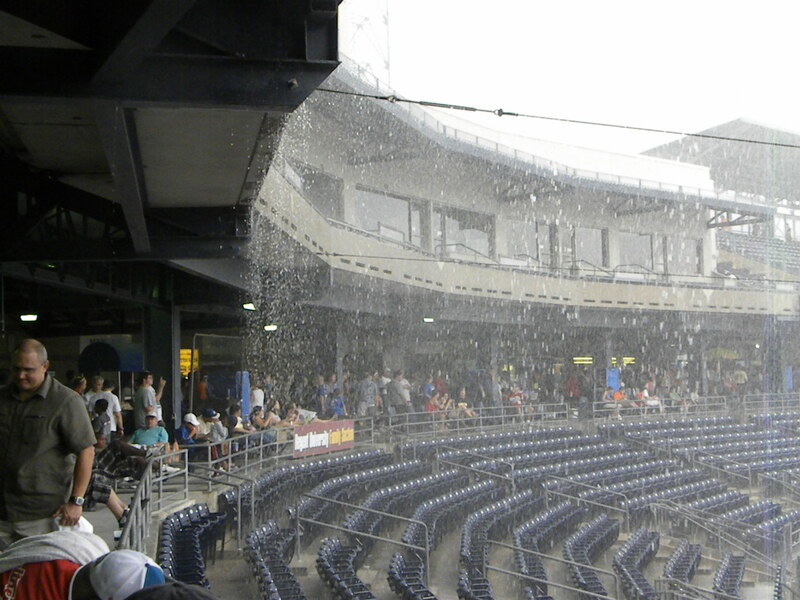 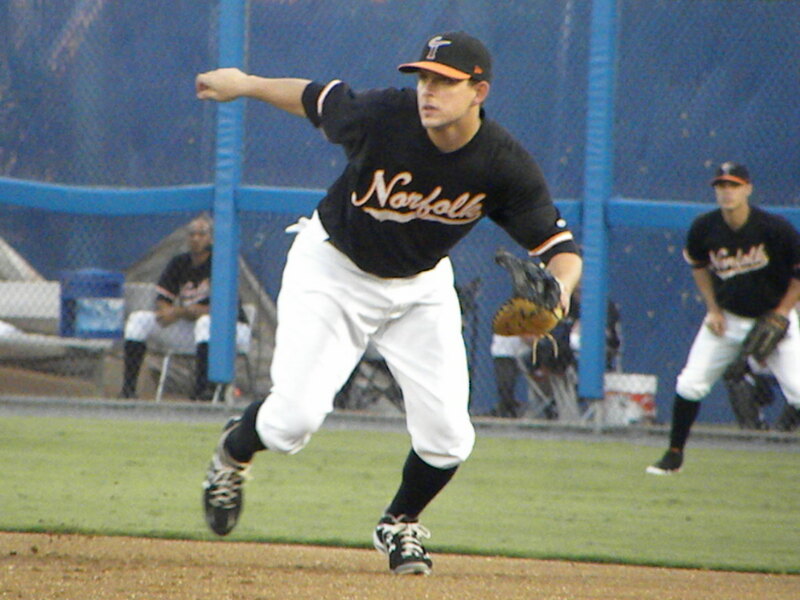 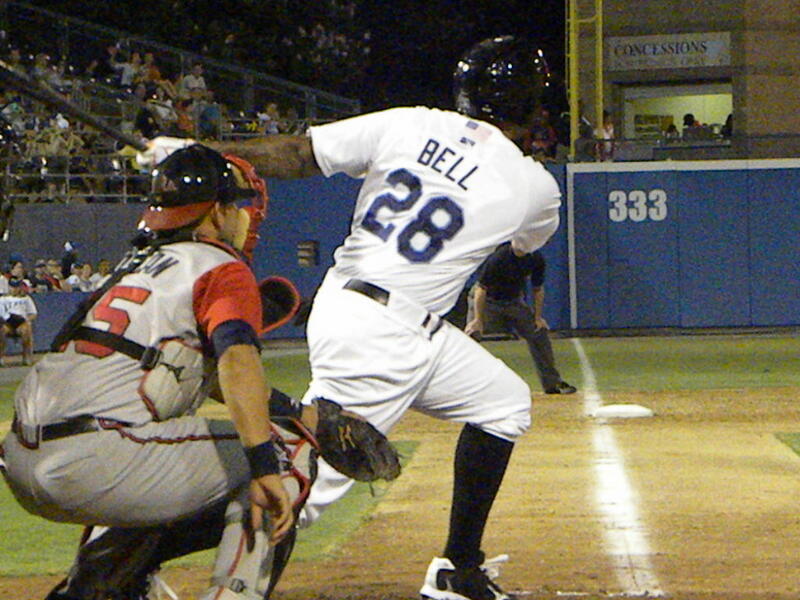 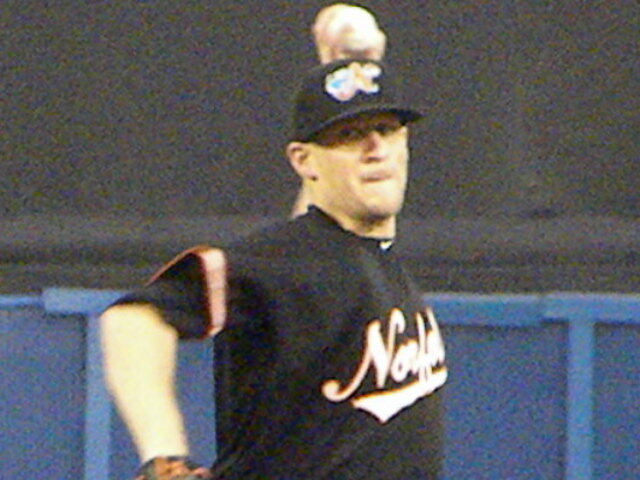 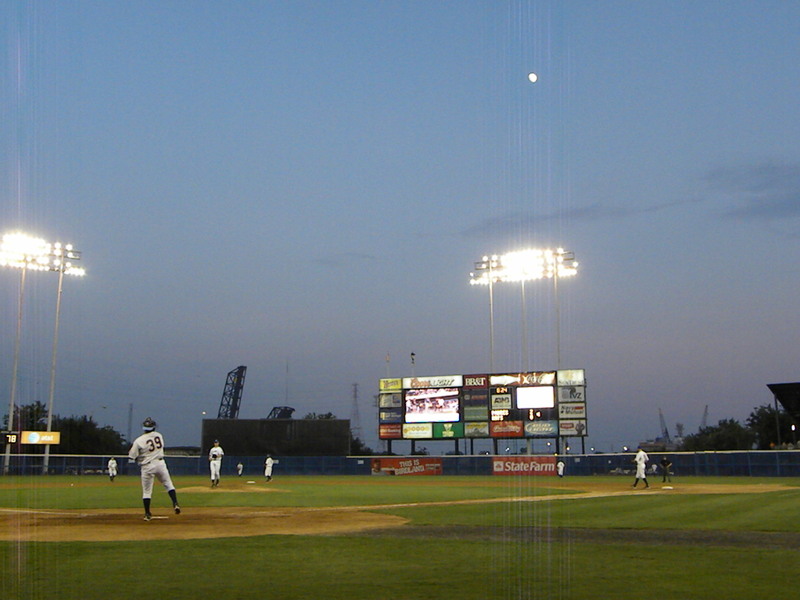 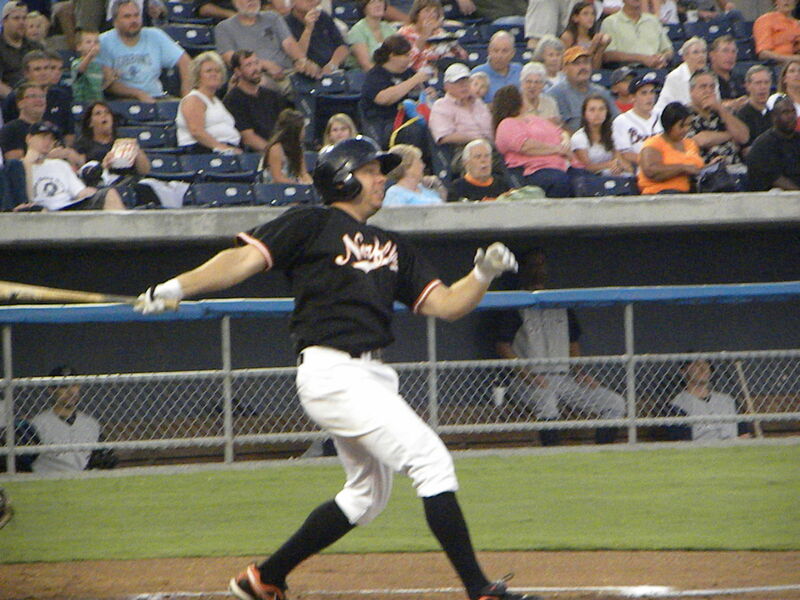 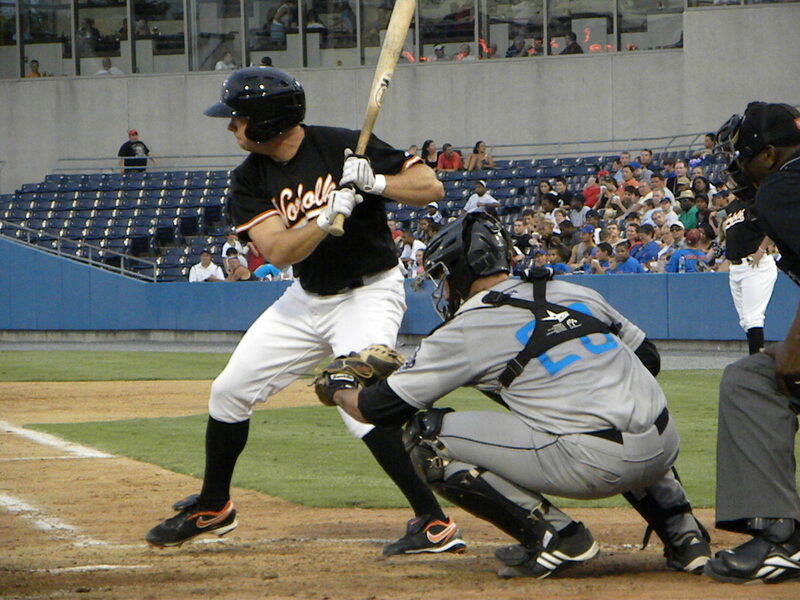 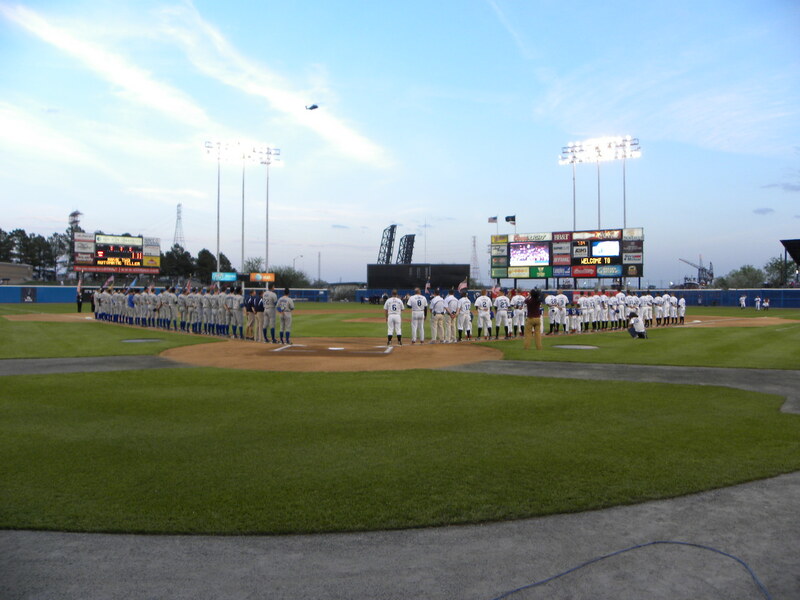 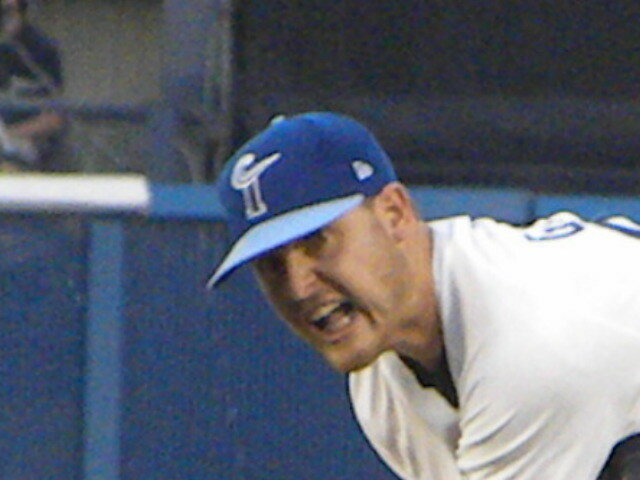 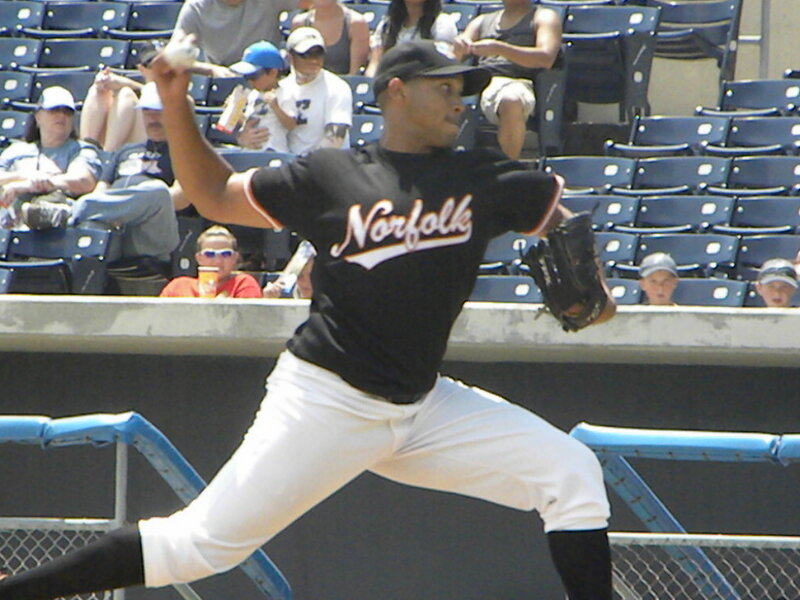 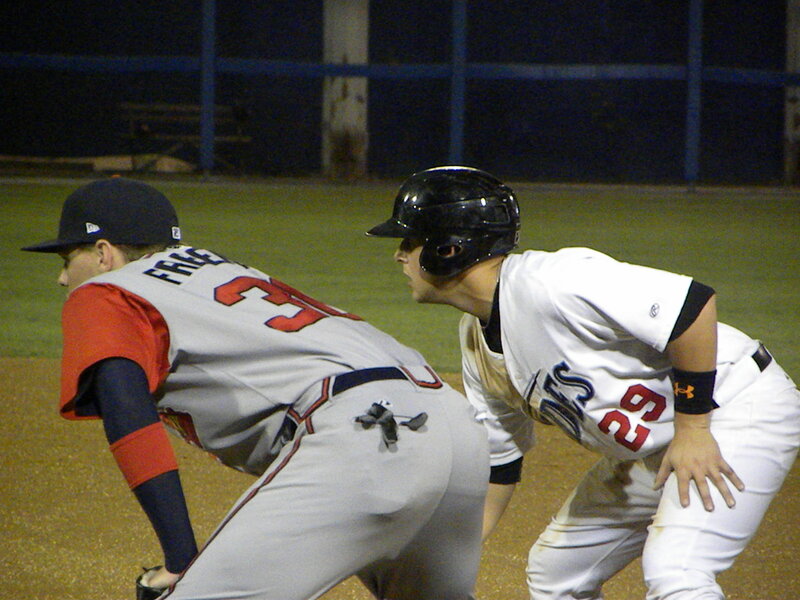 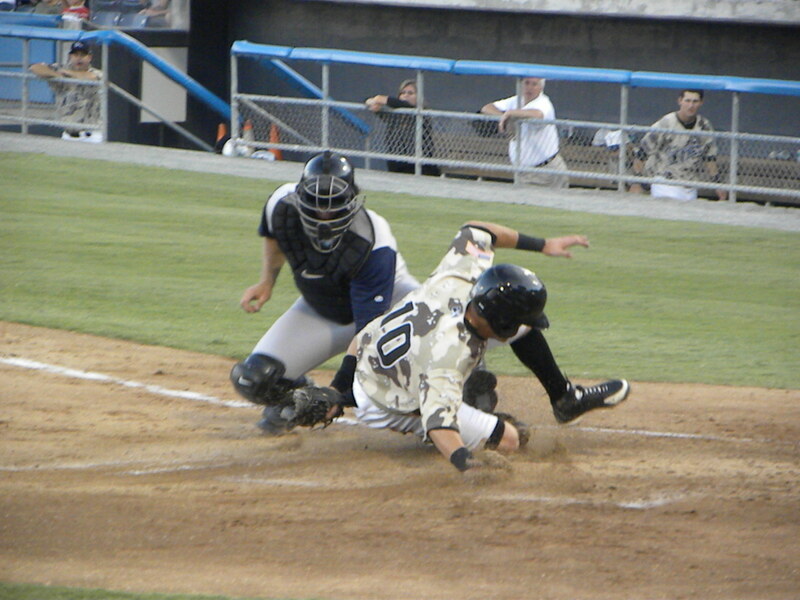 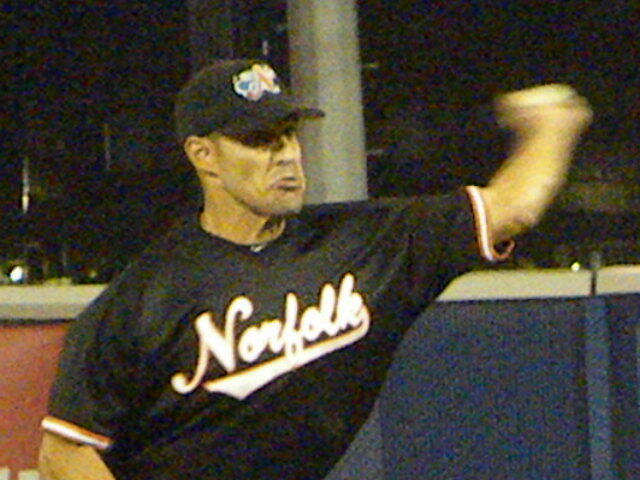 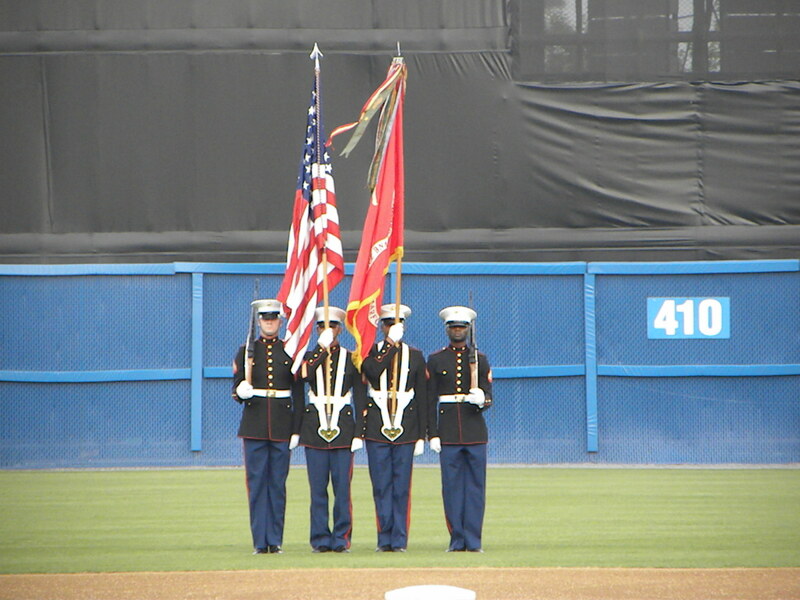 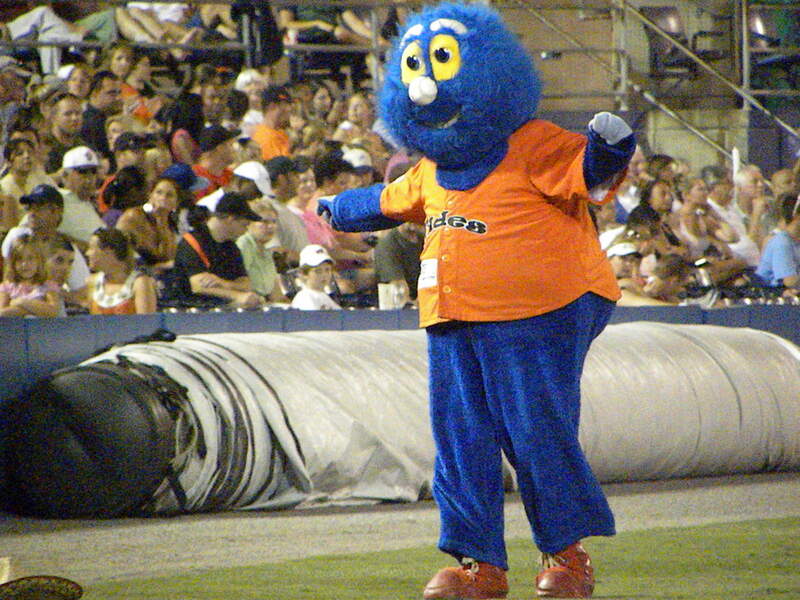 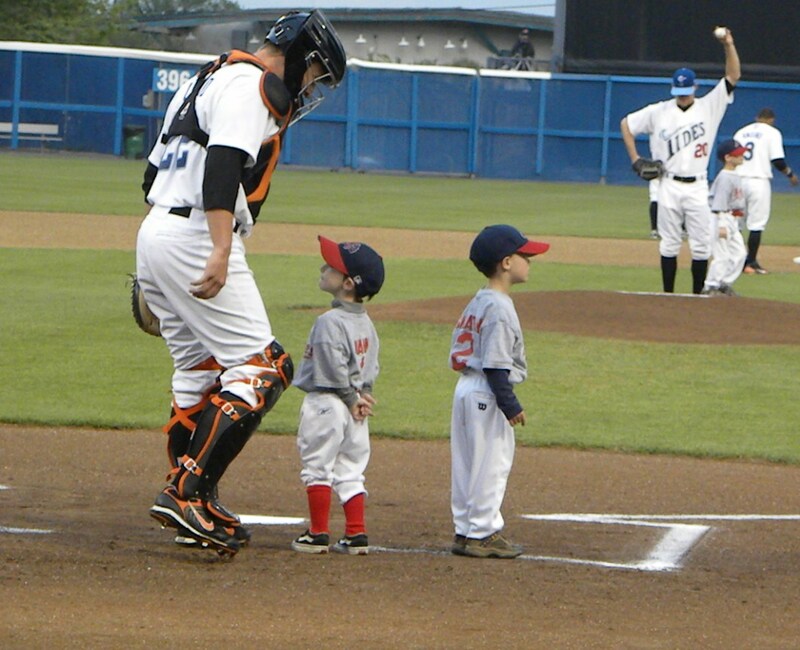 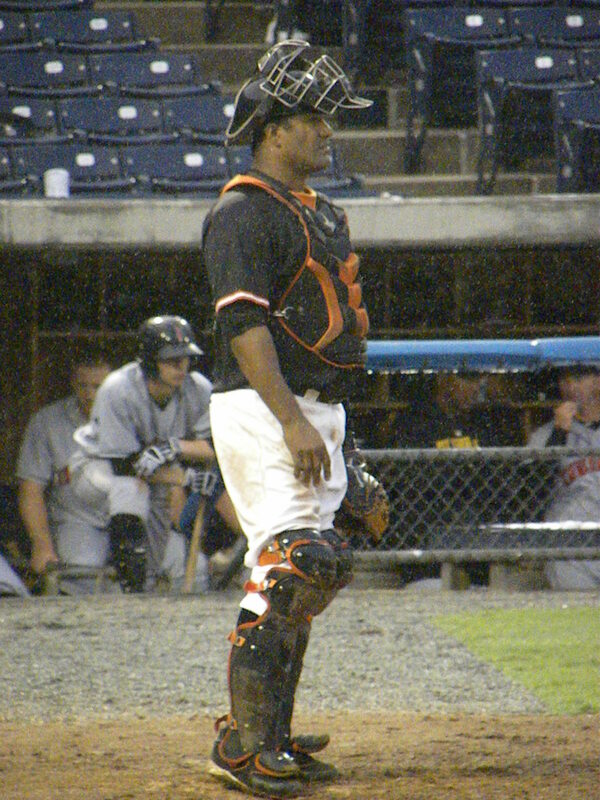 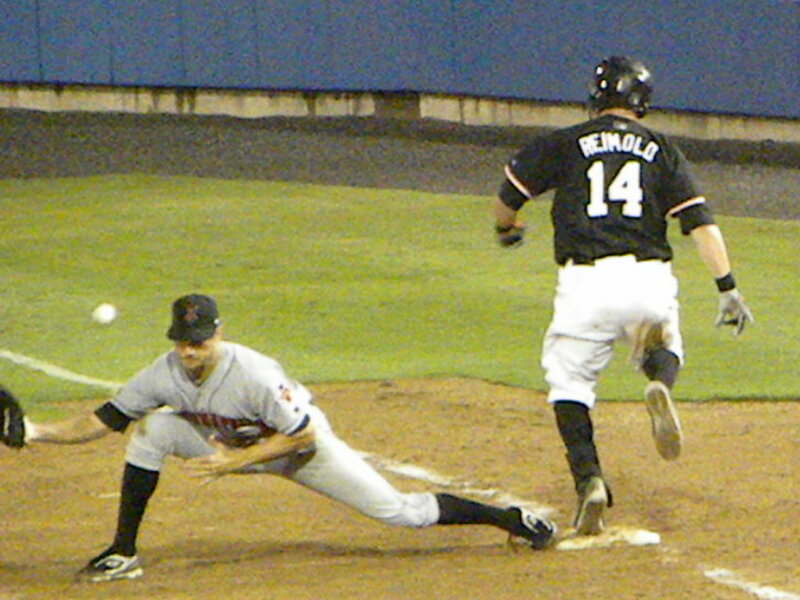 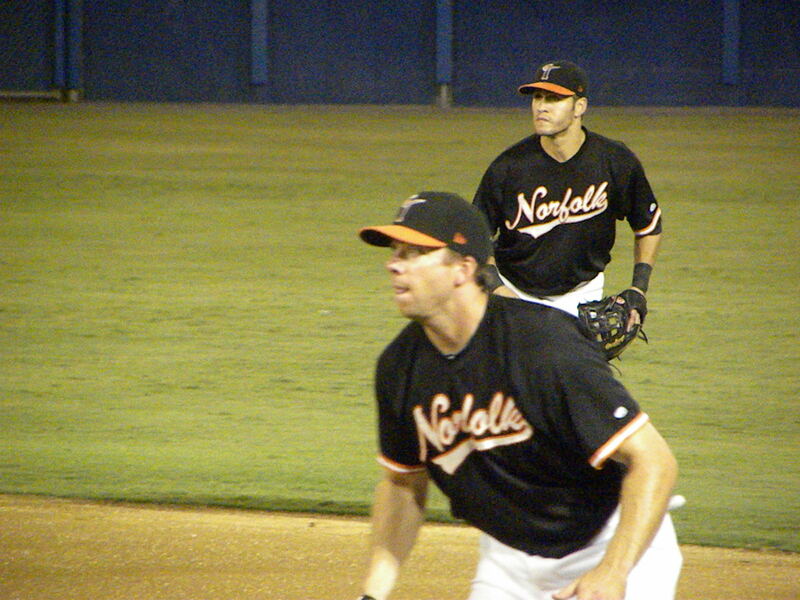 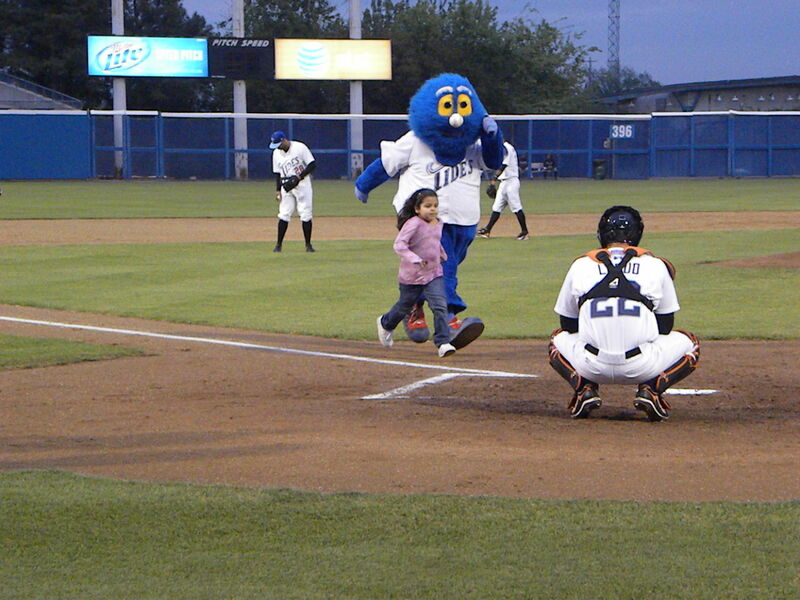 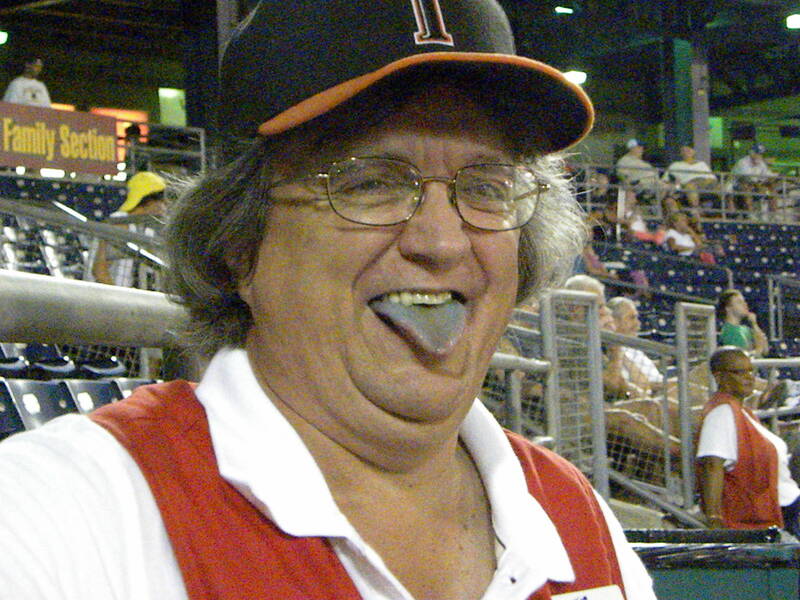 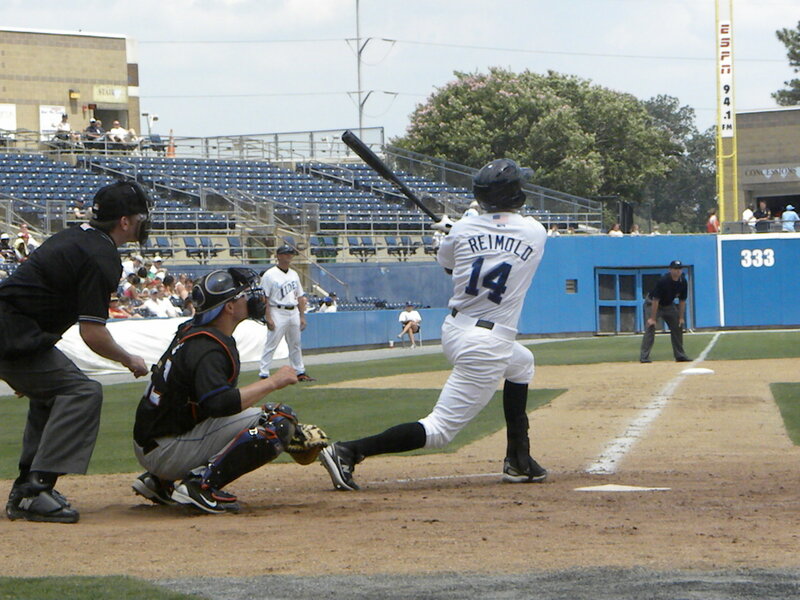 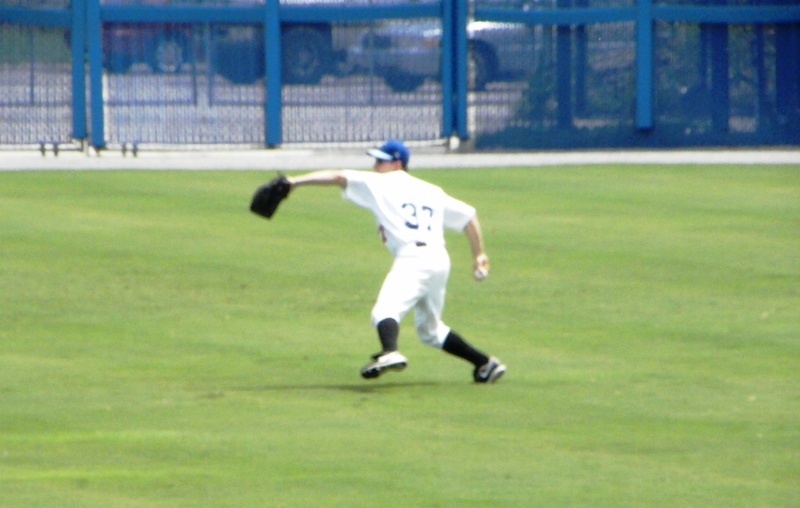 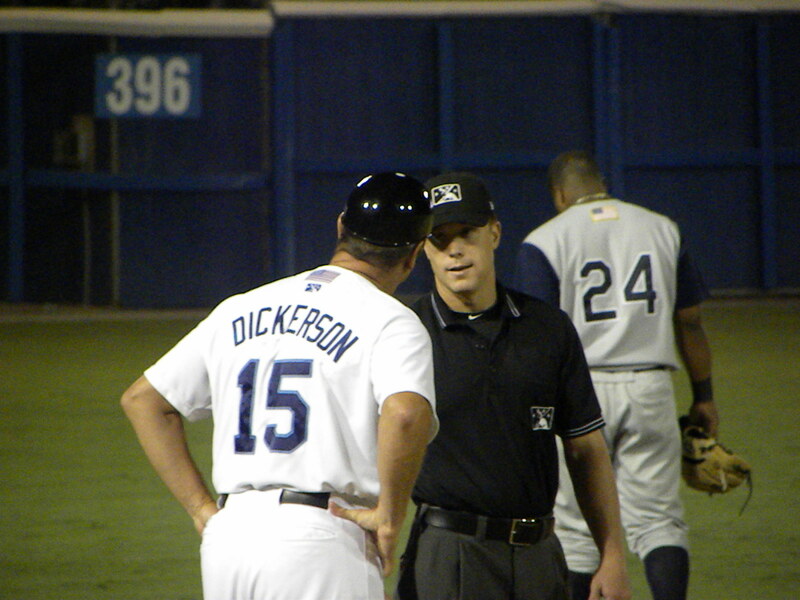 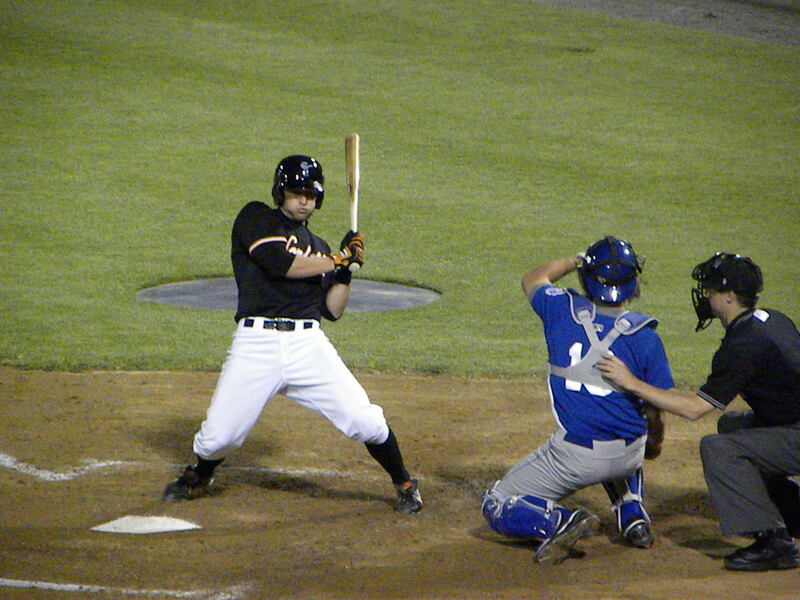 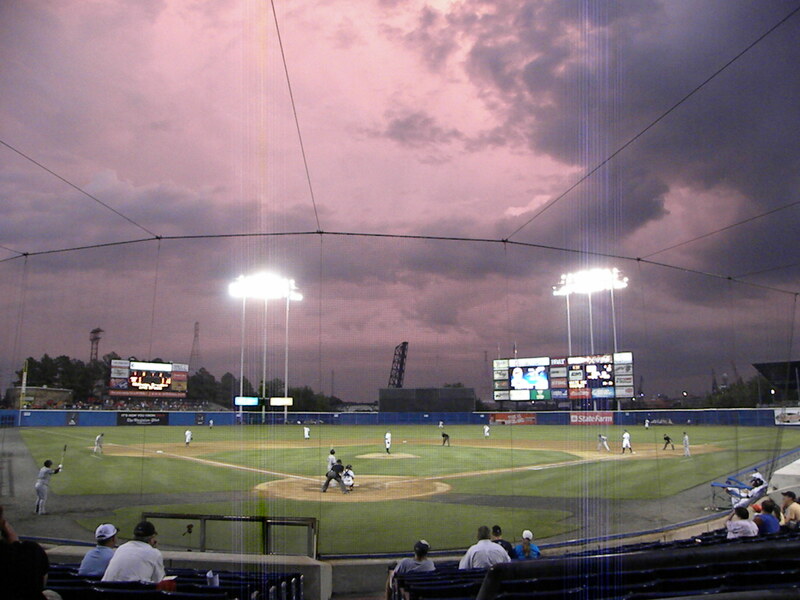 The Tides scored 3 more in the 6th inning off of reliever Jhonny Nunez when Nolan Reimold walked and scored on a Rhyne Hughes double aided by a fielding error by Charlotte Center Fielder Alejandro De Aza. 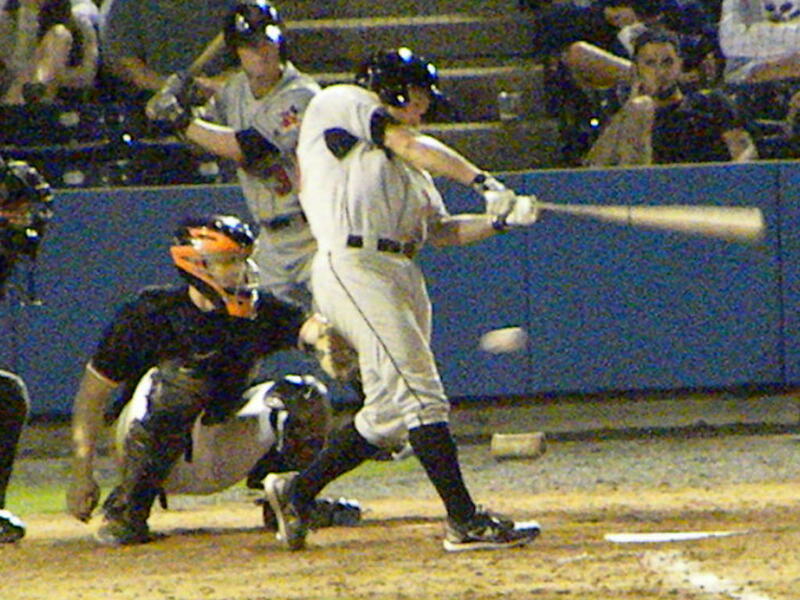 With Blake Davis batting Nunez threw a wild pitch to send Hughes to 3rd with one out and then Davis doubled off of Nunez to score Hughes. 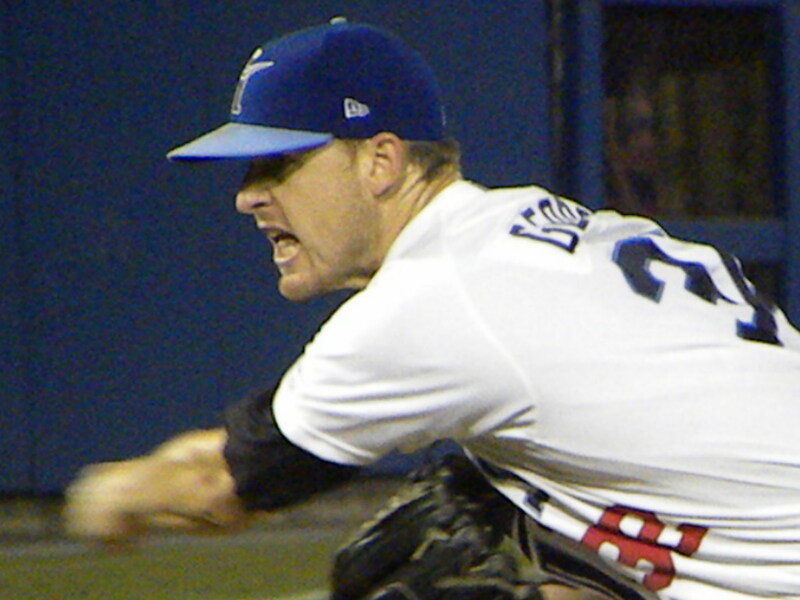 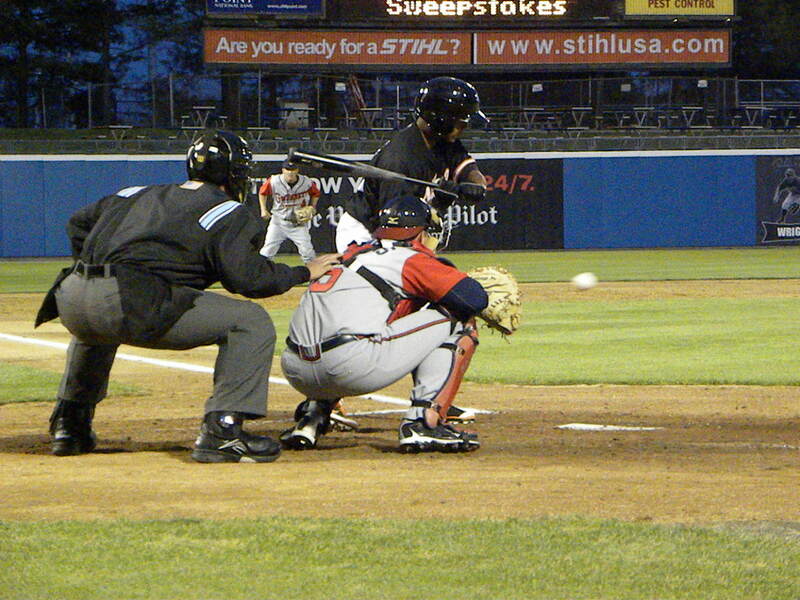 Adam Donachie popped up for the second out bringing Paco Figueroa to the plate. 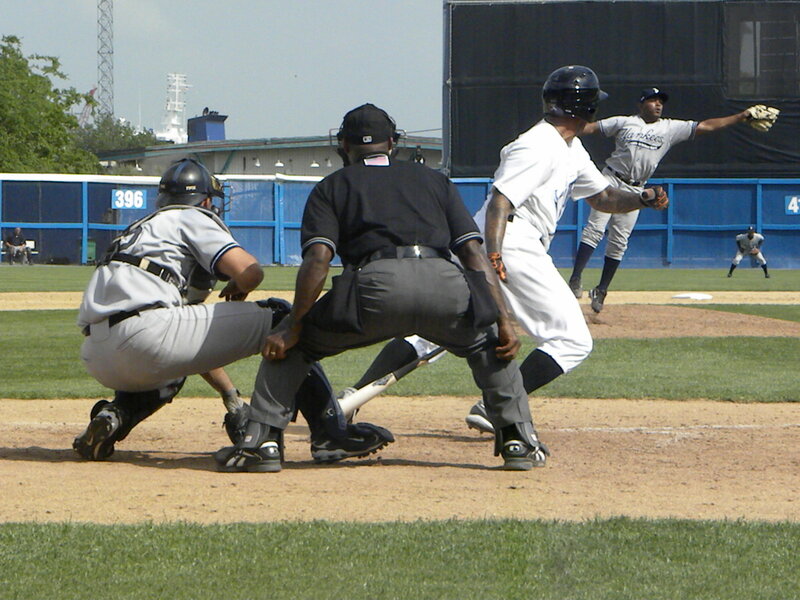 Paco doubled to right to score Davis before Matt Angle lined out to end the inning. 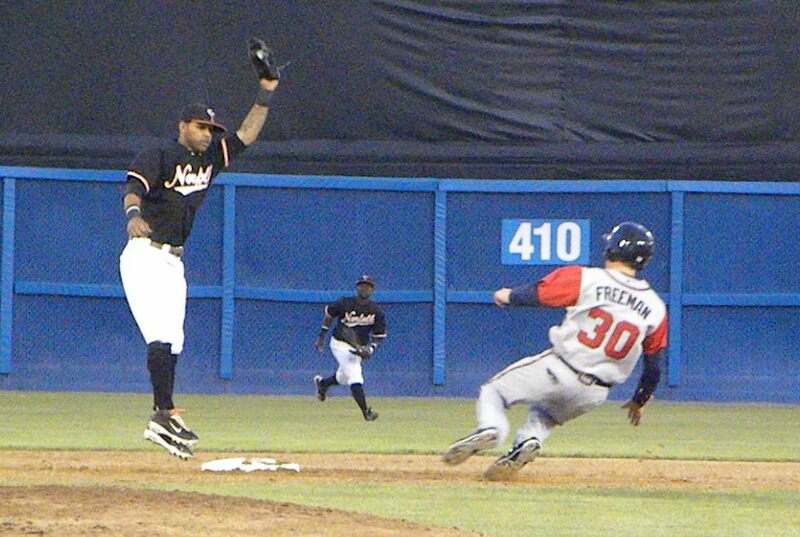 Clevelan Santeliz came in for Nunez in the 7th and took the Tides down in order leaving the score at 6-5. 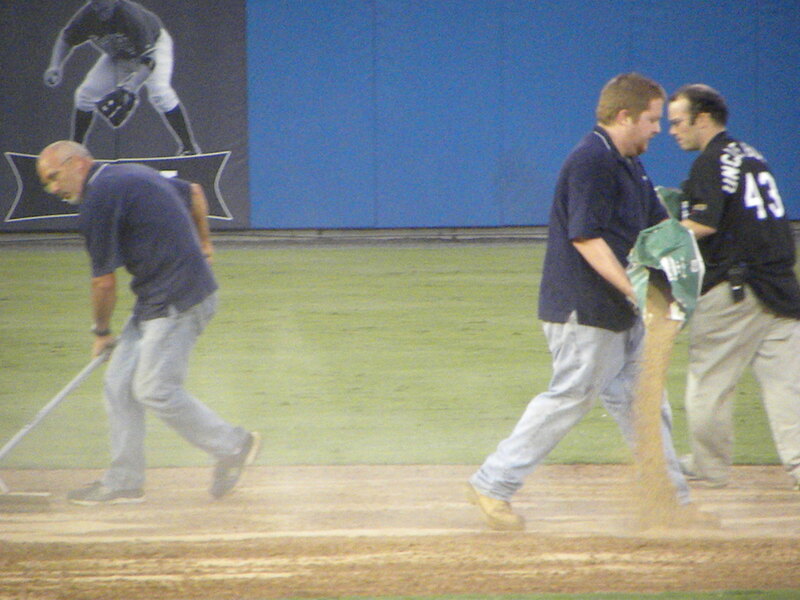 However in the 8th inning things changed in an instant. 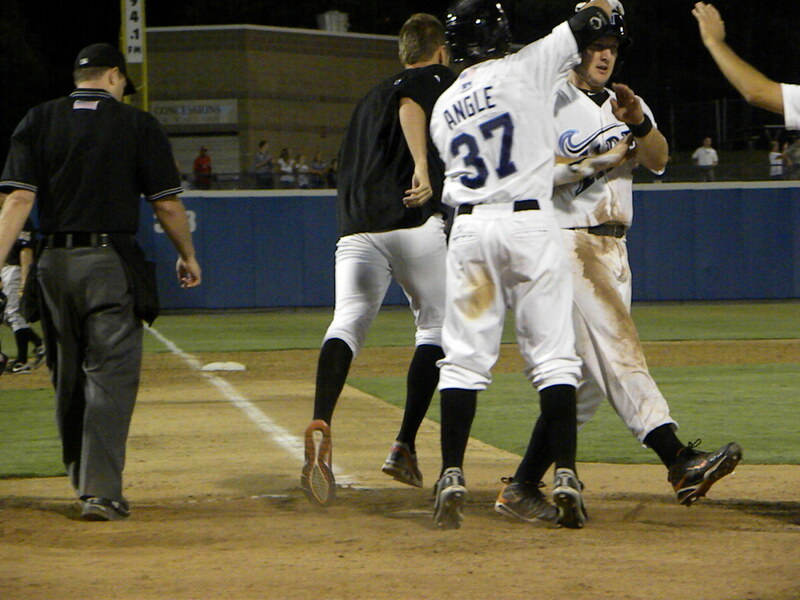 Greg Aquino relieved Santeliz and immediately stuck out Rhyne Hughes and Brandon Snyder. 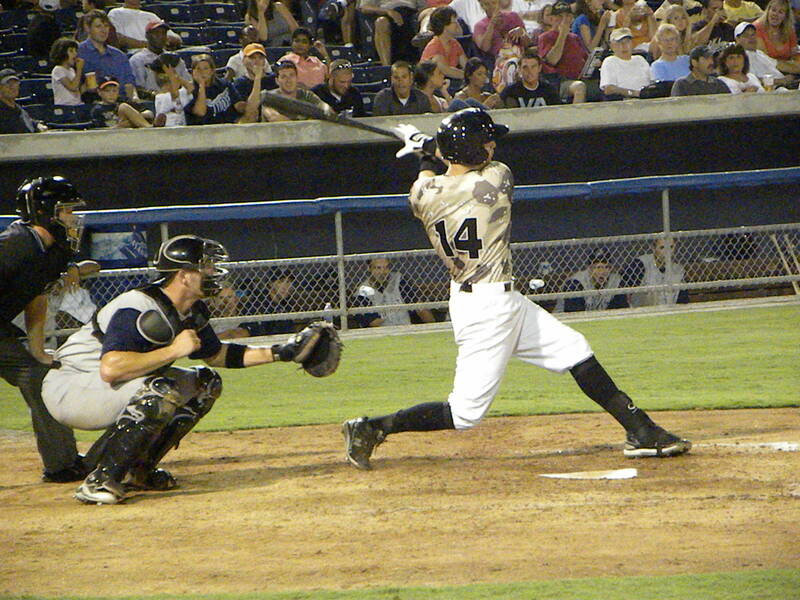 Blake Davis then singled his 3rd hit of the game to keep the inning going. 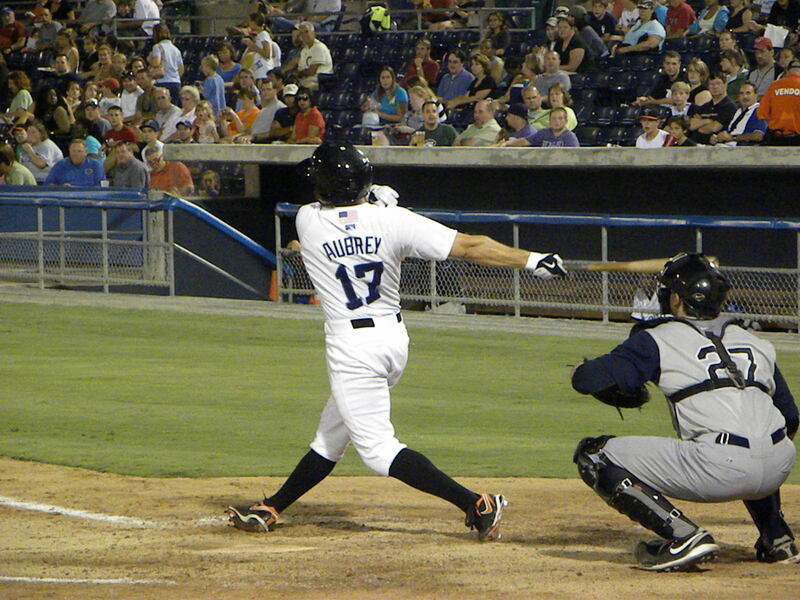 The brought up pinch hitter Michael Aubrey who blasted Aquino’s first pitch over the right center field wall to give the Tides a 7-6 lead. 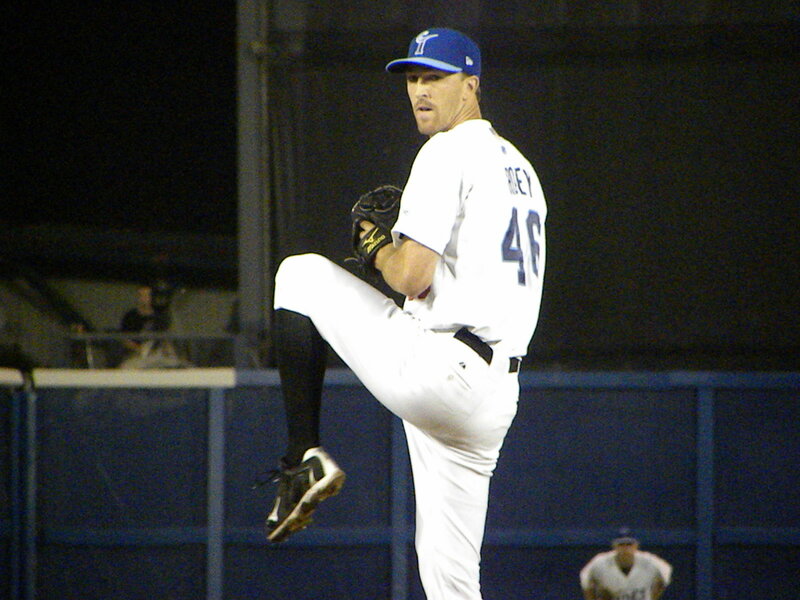 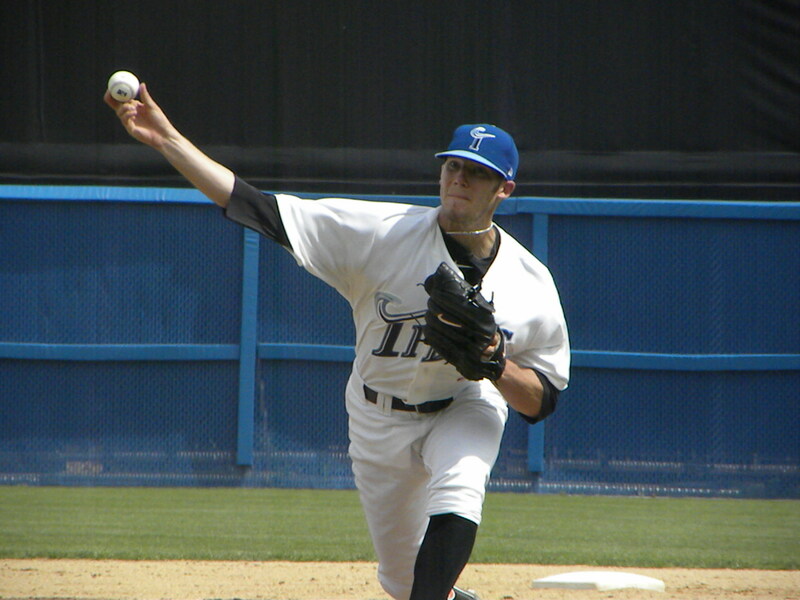 Dennis Sarfate then pitched the 8th and 9th innings for the Tides notching his 17th save of the season. 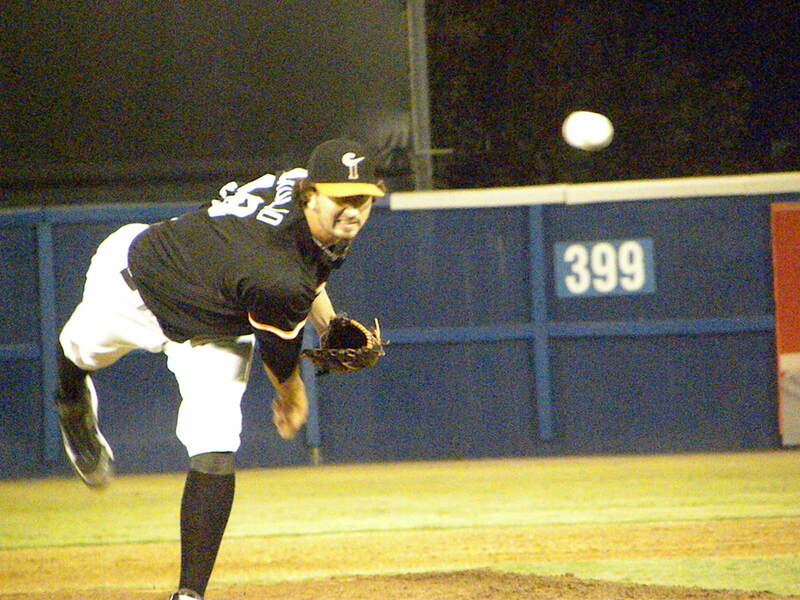 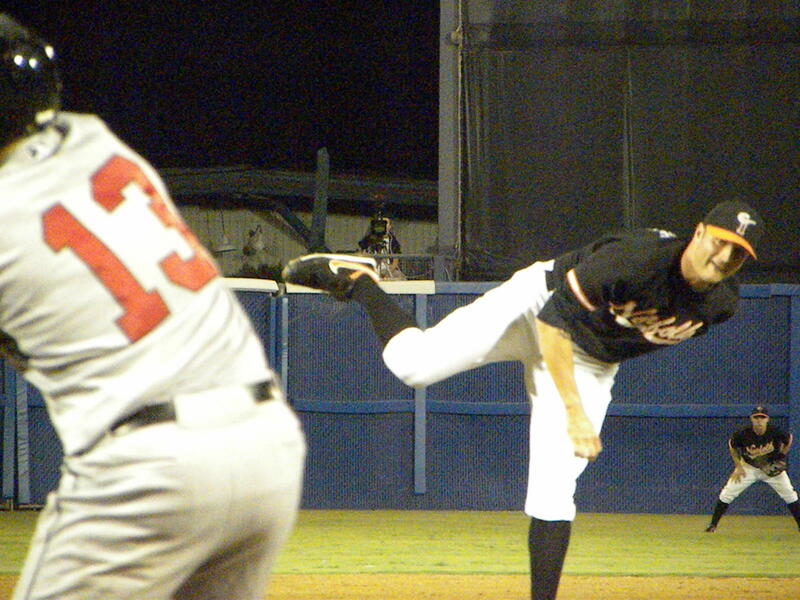 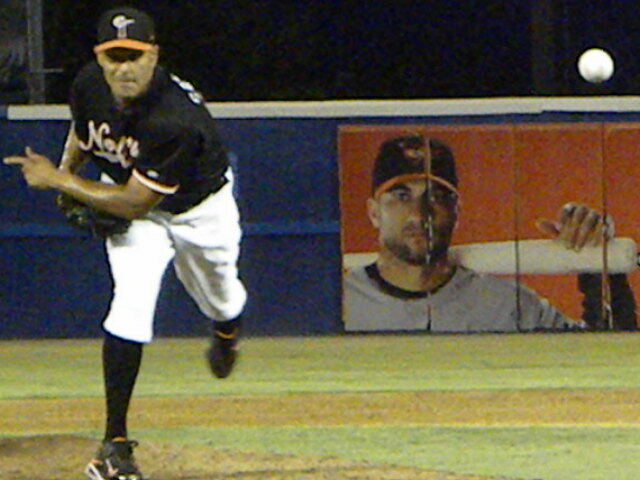 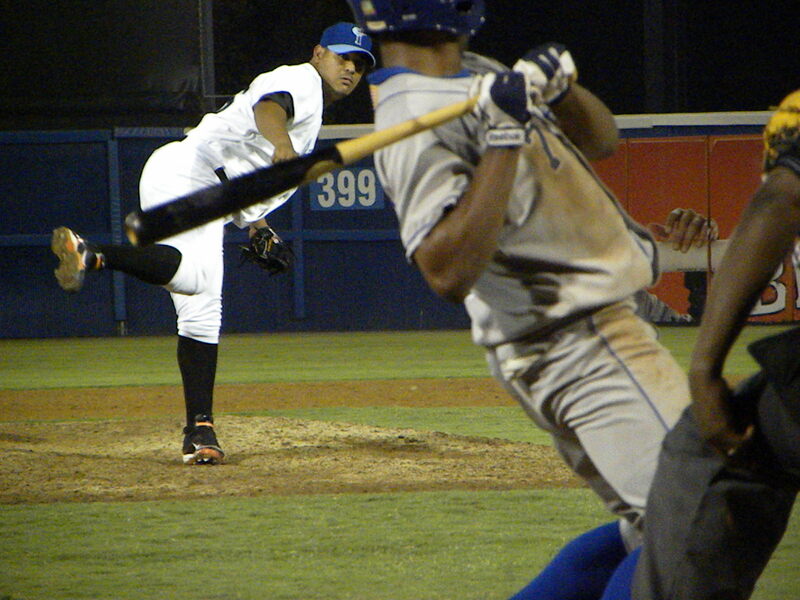 Frank Mata (4-3 3.50 ERA) got the win for the Tides while Aquino (1-5 5.21 ERA) took the loss for the Knights. 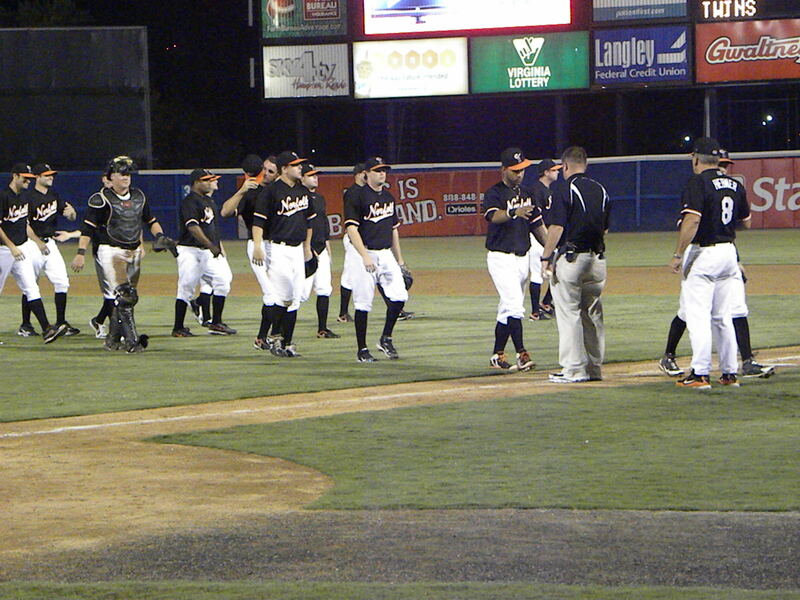 The Tides had 7 runs on 11 hits with the one error leaving 6 men on base. 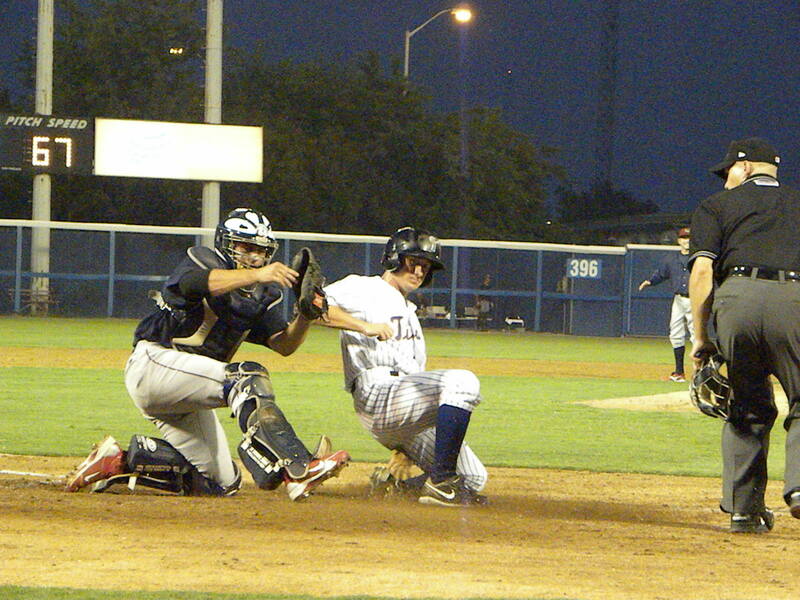 The Knights had 6 runs on 12 hits with 2 errors stranding 7 runners on base. 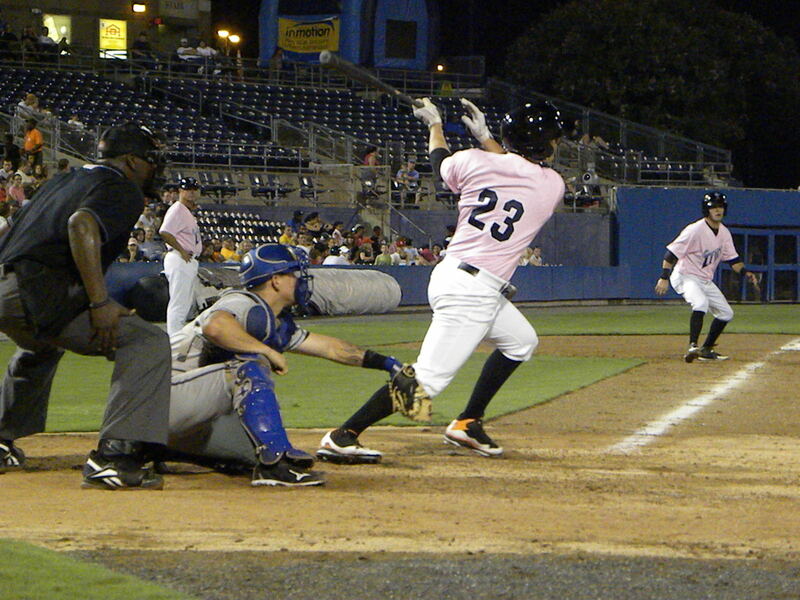 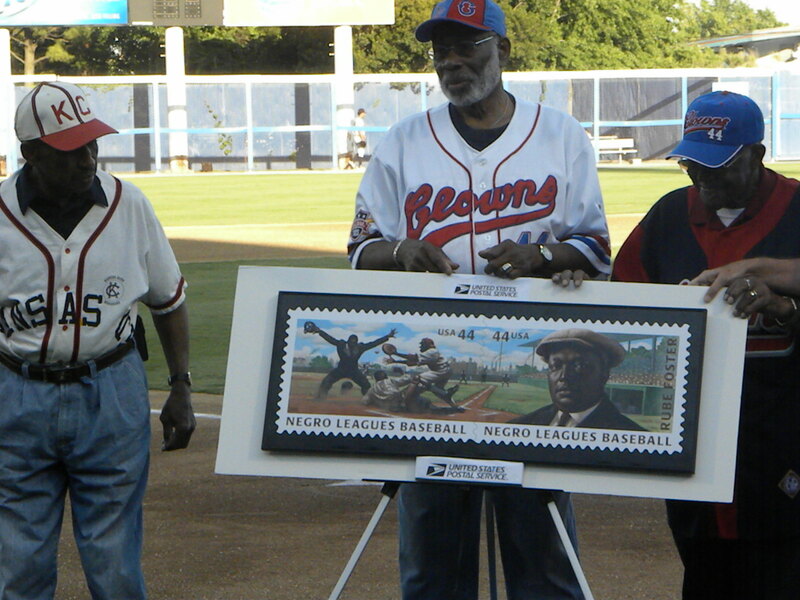 Of note was Blake Davis’ performance going 3 for 4 with an RBI the night following his grand slam in Durham. 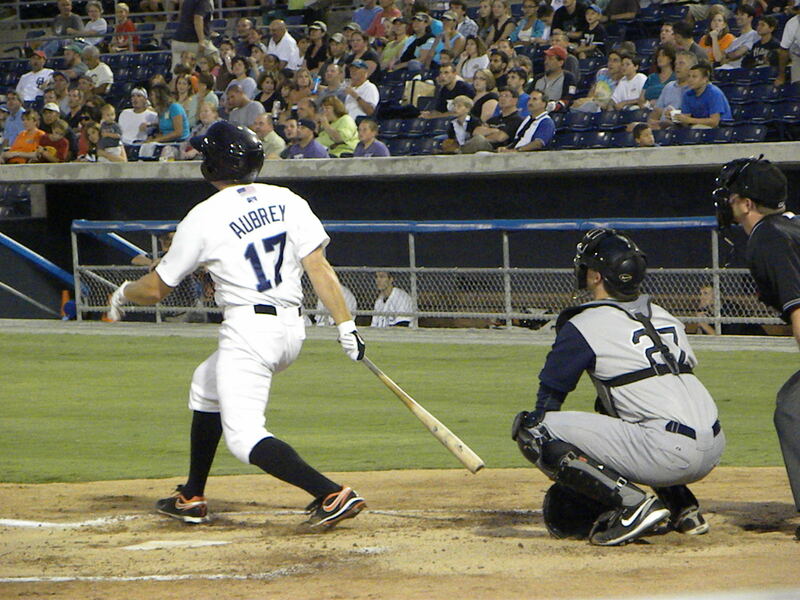 The Tides had doubles from Davis, Brandon Snyder, Paco Figueroa and Rhyne Hughes while Michael Aubrey had hit his 19th home run of the year which gave the Tides the lead and the win. 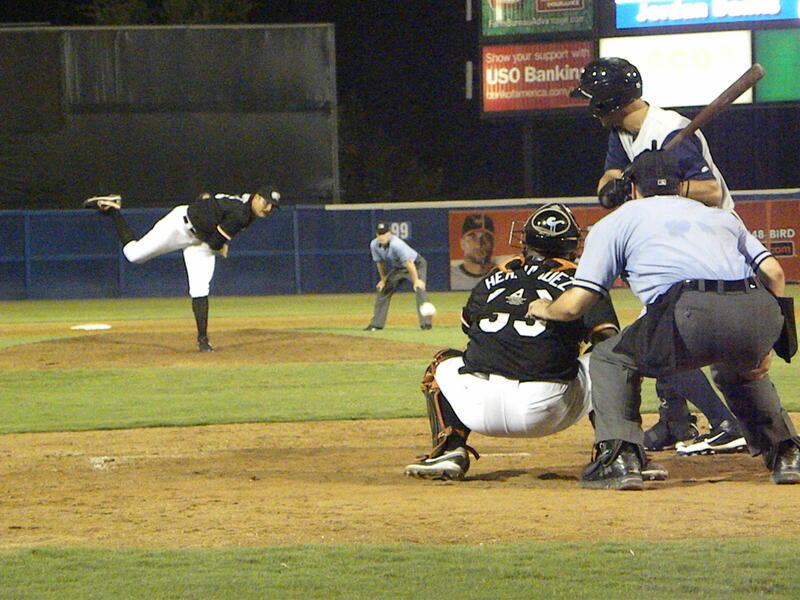 The relief pitching was superb and gave the Tides hitter the opportunity to make the comeback. 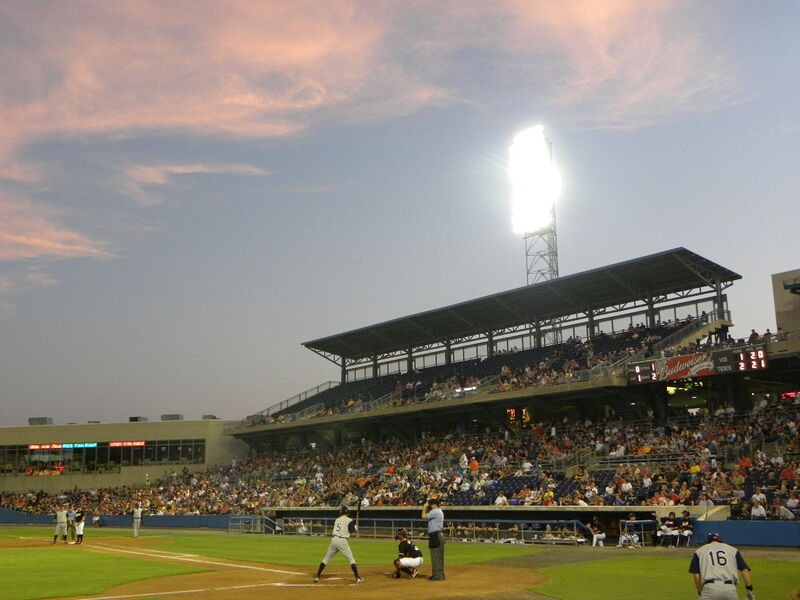 The teams square off tonight in Charlotte. 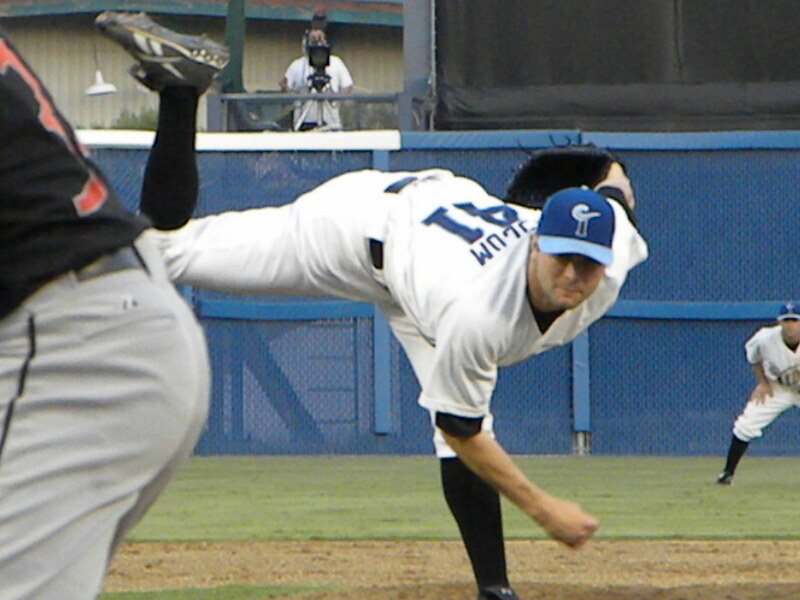 Tim Bascom (2-7 7.95 ERA) will take the hill for the Tides and face the Knights’ Jeff Marquez (8-7 4.51 ERA.) 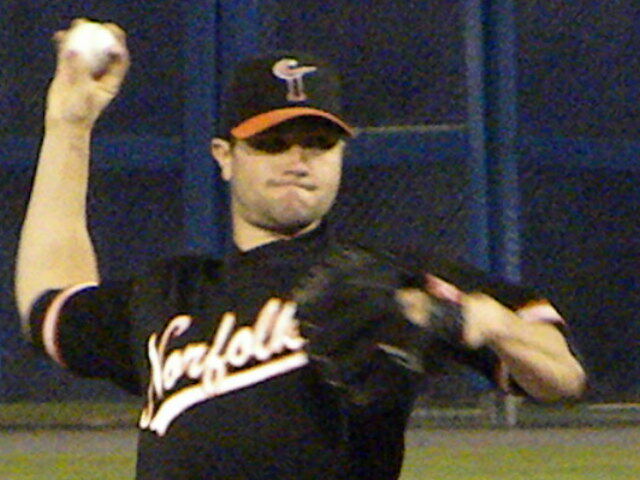 In personnel moves the Orioles optioned Armando Gabino to the Tides to make room for set up man Jim Johnson who has been on the DL much of the year. 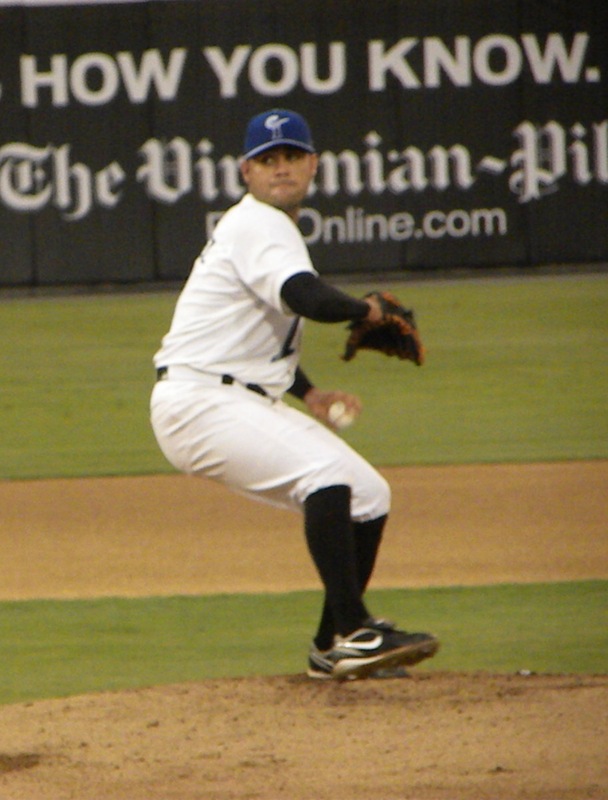 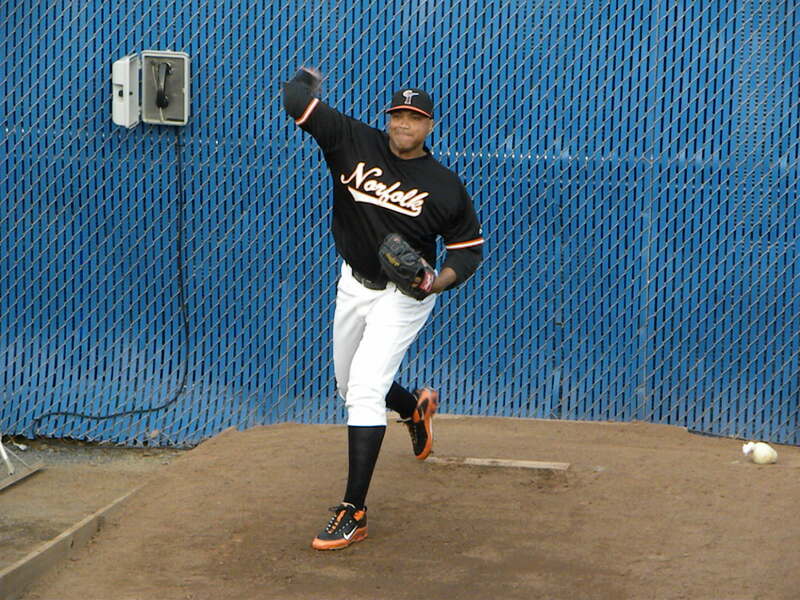 That should help the Tides as Gabino was 7-0 and 3 saves with a 2.12 ERA.